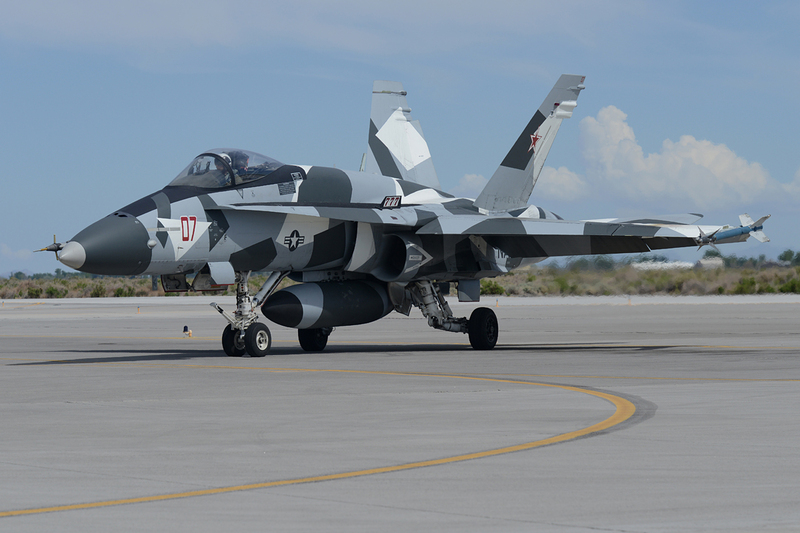 NAS Fallon serves as the Navy’s premier tactical air warfare training center. 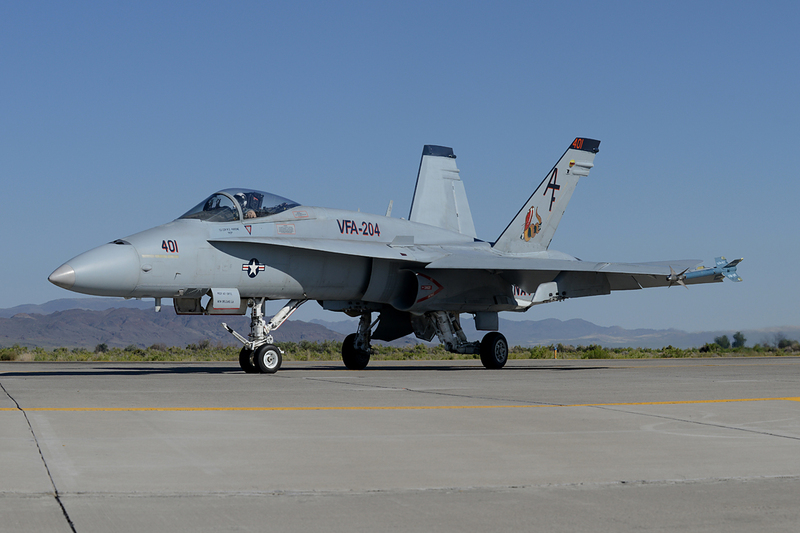 It is home to the Fighting Saints of VFC-13, the Desert Outlaws of the Strike Fighter Wing Pacific and the Naval Aviation Warfighting Development Center NAWDC. 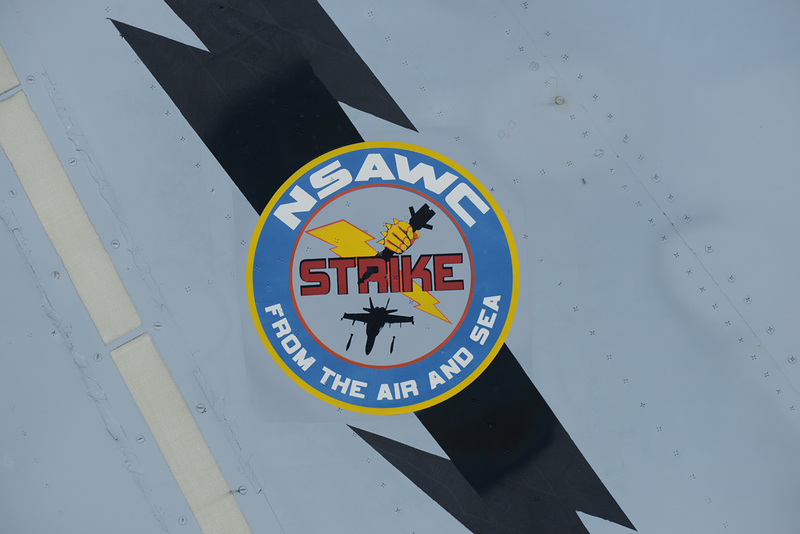 (until 2015 Naval Strike Air Warfare Center NSAWC). 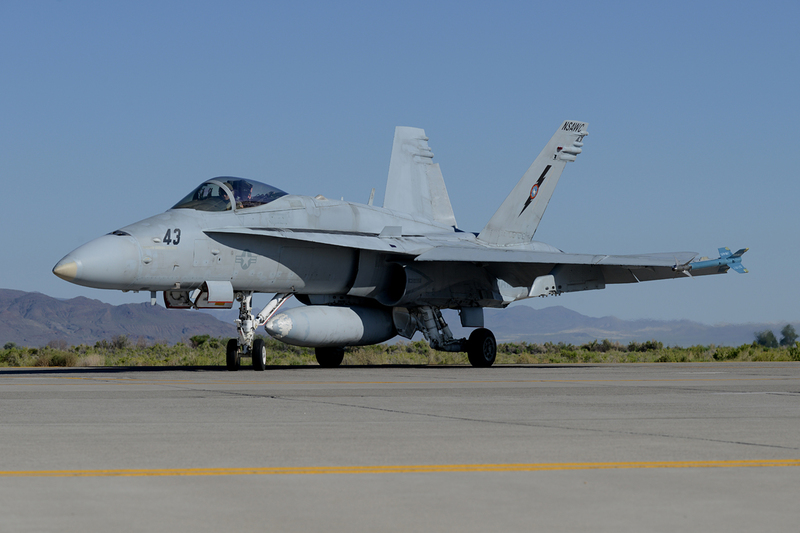 NAS Fallon is known throughout the Navy as the only facility in existence where an entire carrier air wing can conduct comprehensive training while integrating every element of the wing into realistic battle scenarios. 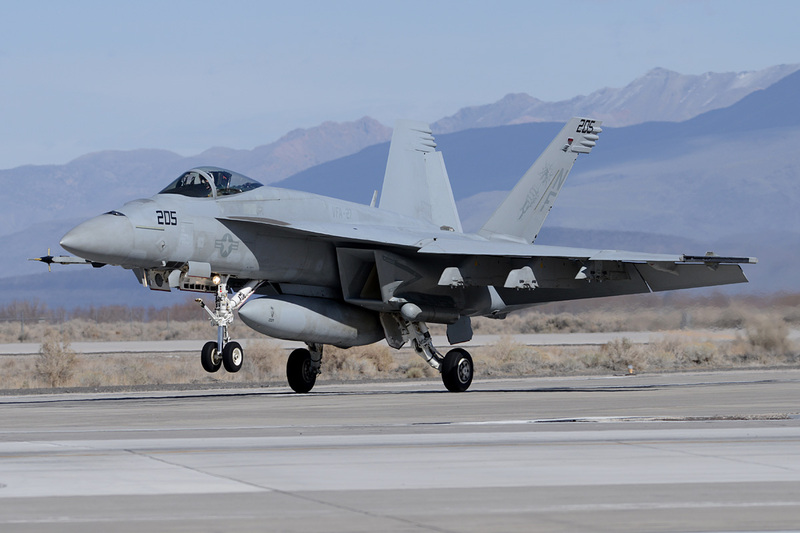 The station benefits from 300 clear flying days per year and gets most out of each of those days with its four bombing ranges, the electronic warfare range and all of its other excellent training facilities. 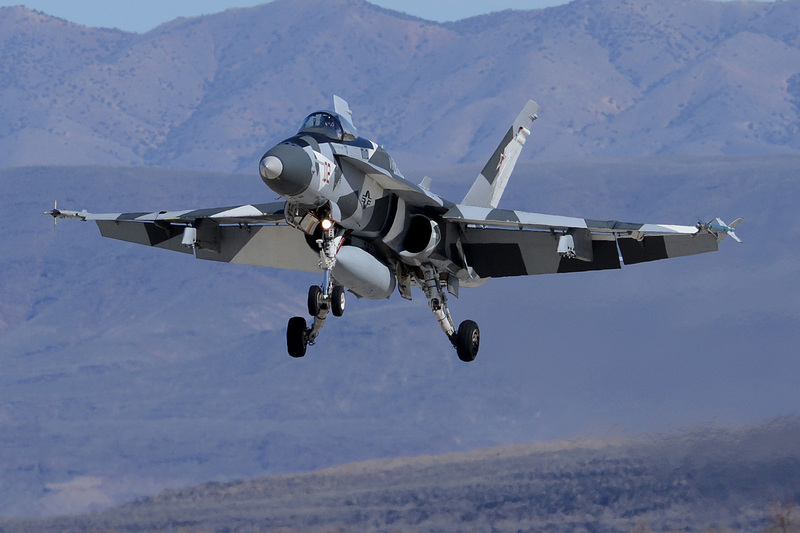 Its surrounding area contains 240,000 acres of bombing and electronic warfare ranges. 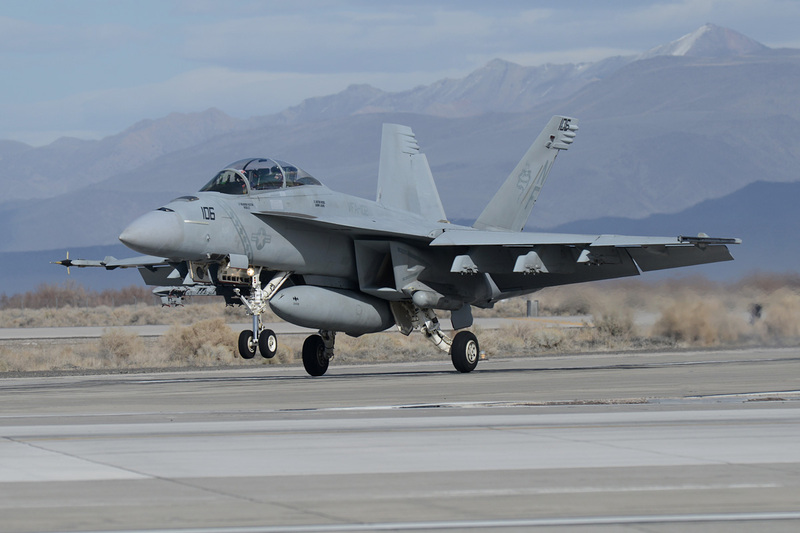 The 14,000-foot runway is the longest in the Navy, making Fallon a one-stop training facility unequaled throughout the service. Originally built in 1942 as part of a defensive network to repel a feared Japanese invasion of the west coast, it was soon taken over by the Navy for training use. 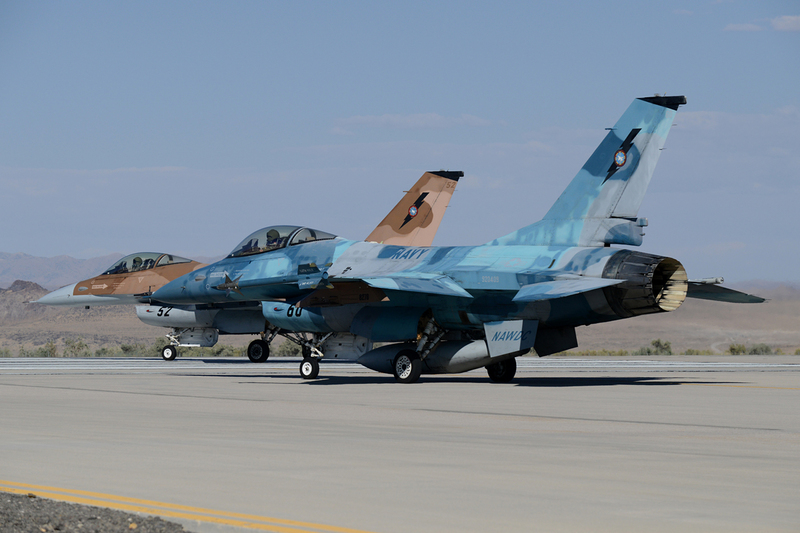 From its beginning as a WWII Army Air Corps airstrip, Fallon has served many different missions throughout the years. 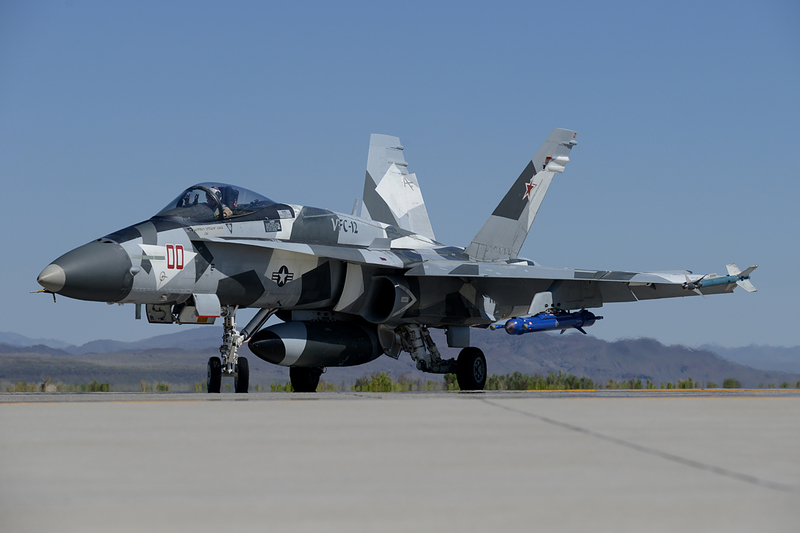 Throughout the years, the air station has evolved into a versatile, comprehensive training facility known to aviators around the world as the pinnacle of air warfare training. Over 3,000 active duty personnel, civilian employees and DoD contractors enjoy a high quality of life that is enhanced by the numerous facilities on base and by those within the surrounding areas. Beautiful housing, convenient shopping and recreational facilities provide a congenial environment. 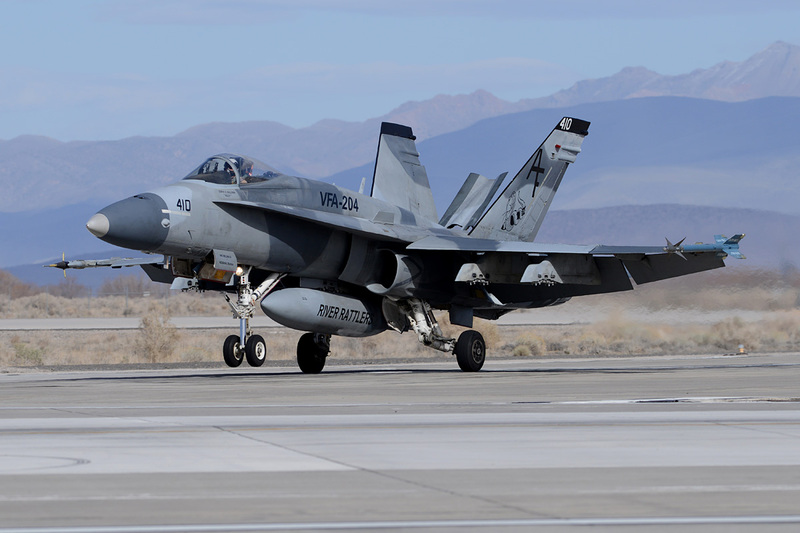 Residents of NAS Fallon can enjoy the natural beauty of the Northern Nevada high desert as well as the exciting attractions of nearby Reno, providing a wide variety of recreational and sightseeing options. 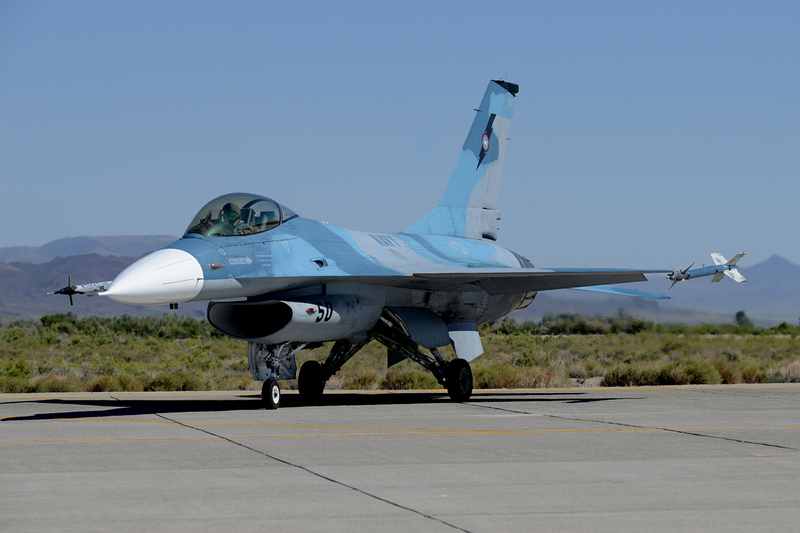 NAS Fallon is, although relatively isolated, only a short drive from some of the finest outdoor recreation areas in the country. Nevada offers 24/7 big city excitement with Carson City and Reno but also ghost towns, historical sites and old mines from the mining era. 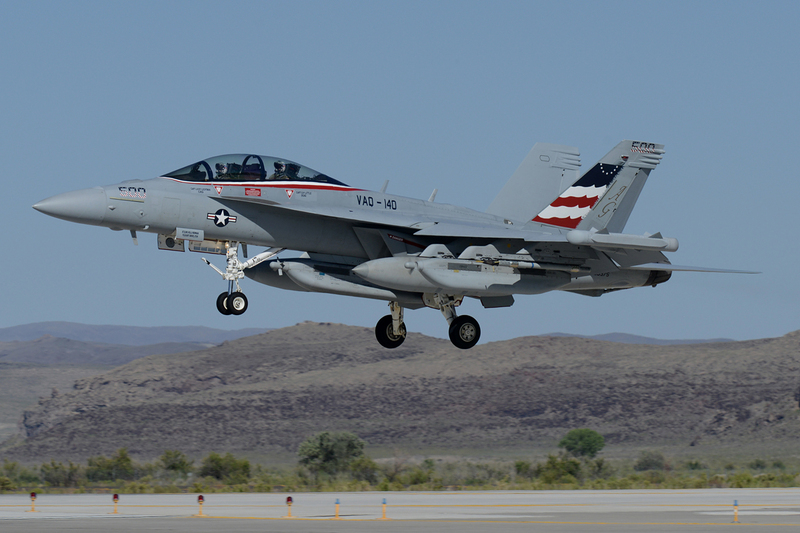 The NAWDC conducts the US Navy’s Carrier Air Wing (CVG) training program. It is also home of TOPGUN. 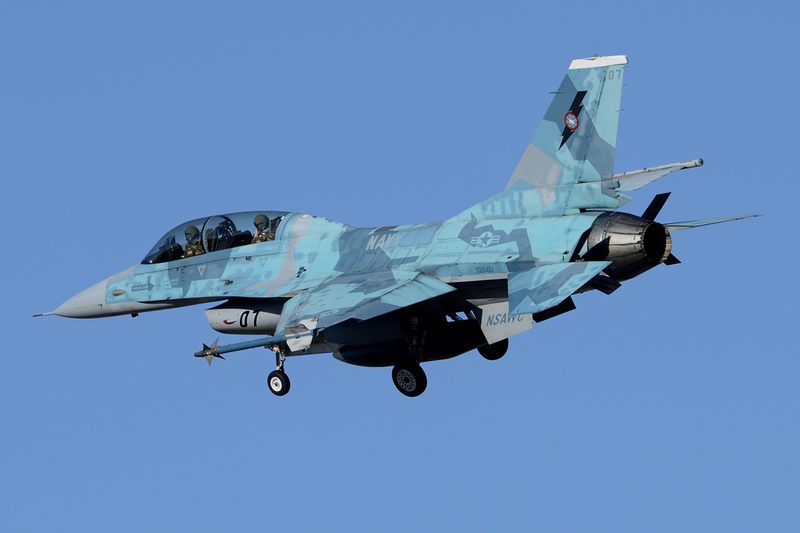 The NAWDC’s month-long training sessions are a military aviation photographer’s greatest dream come true. 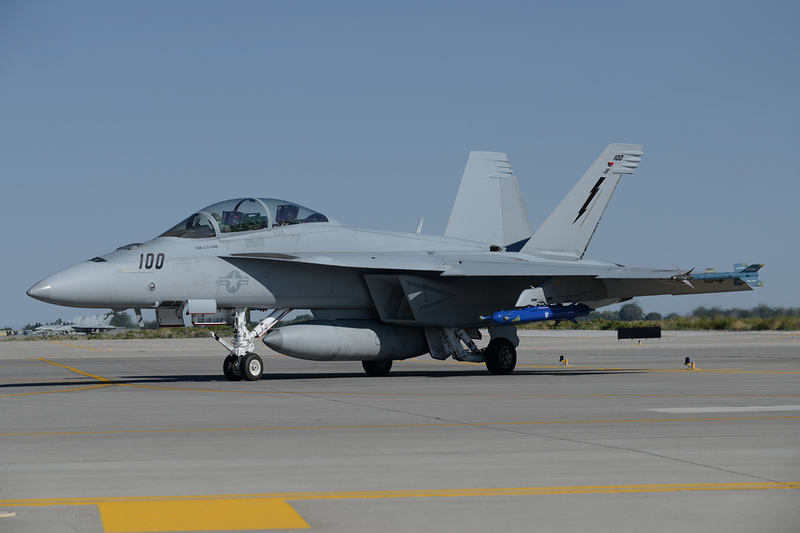 With The CVG-assigned F/A-18 Hornets and Super Hornets, E2 Hawkeyes, E/A-18 Growlers, MH-60 Seahawks and a wide variety of other Navy aircraft participating in the training sessions, the airfield sure comes to life. 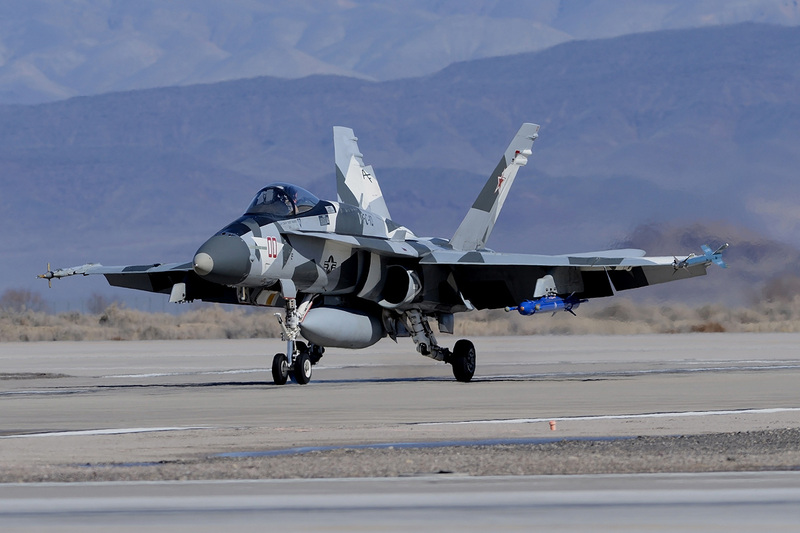 This, combined with NAWDC’s own “adversary” F-5 Tigers, F-16 Fighting Falcons, F/A-18s and its in-transit and sortie supporting aircraft such as C-40 Clippers, P-8 Poseidons, F21 Kfirs and P-3 Orions, make for an unparalleled experience only to be seen at NFL. 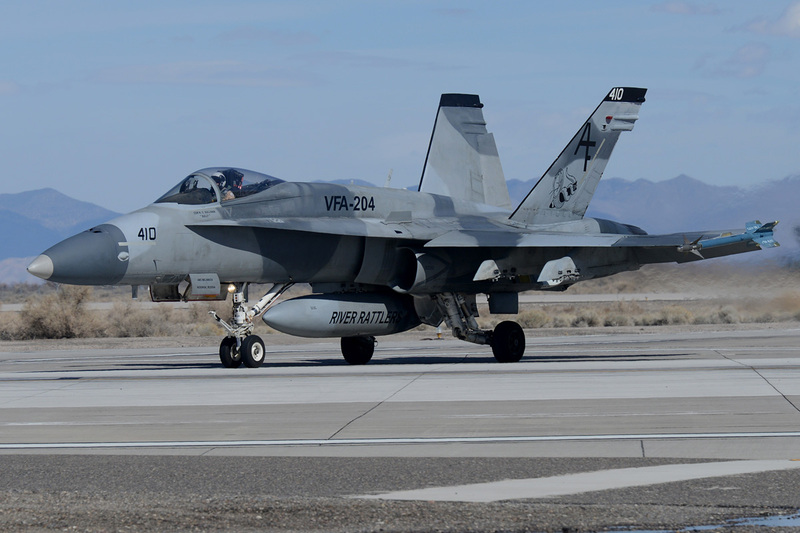 The airfield is named after Nevada’s only native-born Medal of Honor recipient, Lieutenant Commander Bruce Avery van Voorhis. 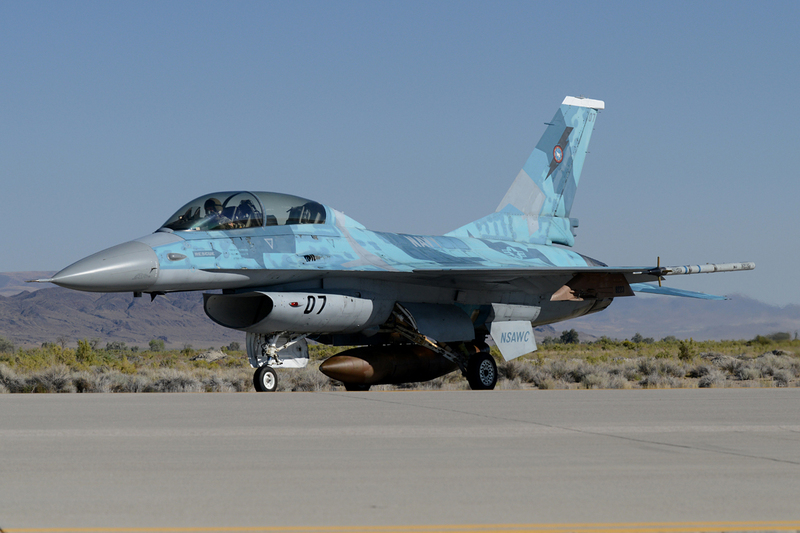 NAS Fallon was part of a construction program of four airfields in the Nevada desert as part of the Western Defense Program, initiated by the Civil Aviation Administration and the Army Air Corps in 1942. Main goal at the time was to repel an expected Japanese attack on the west coast. 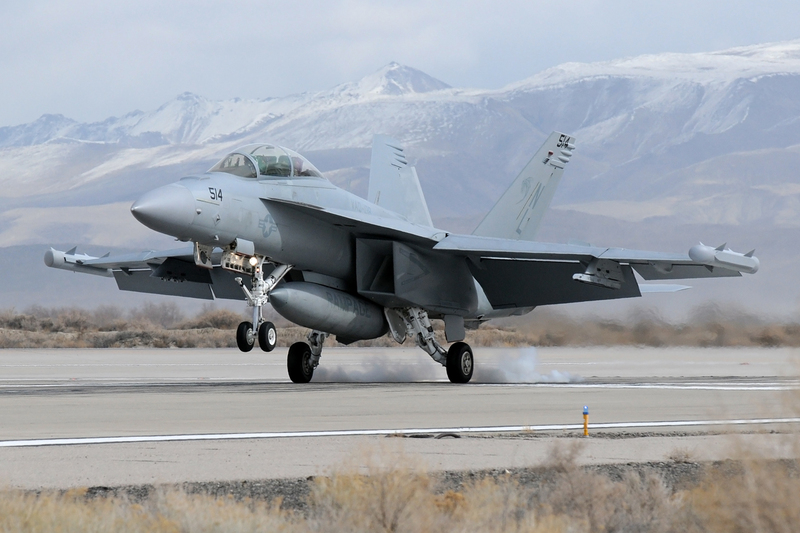 Runways and lighting systems were also built in Winnemucca, Minden and Lovelock. 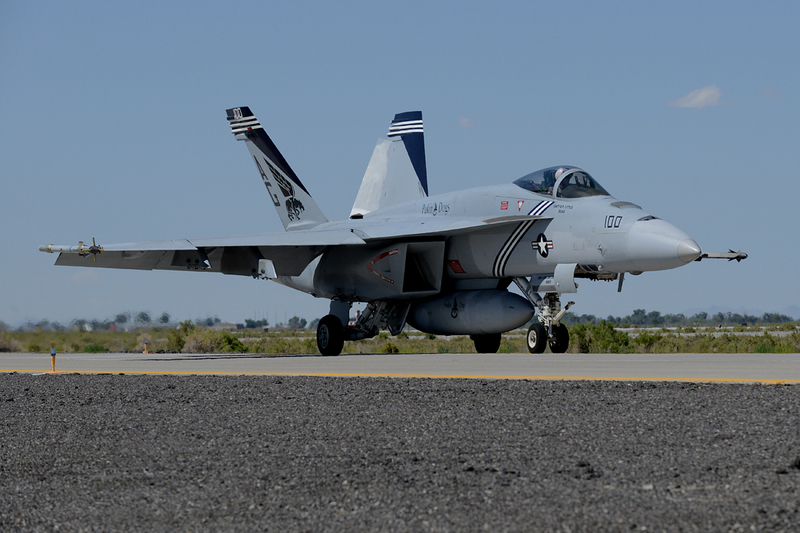 With the war in the Pacific developing, the Navy recognized its need to train pilots in a realistic environment using all the tactics and weapons being developed at that time. 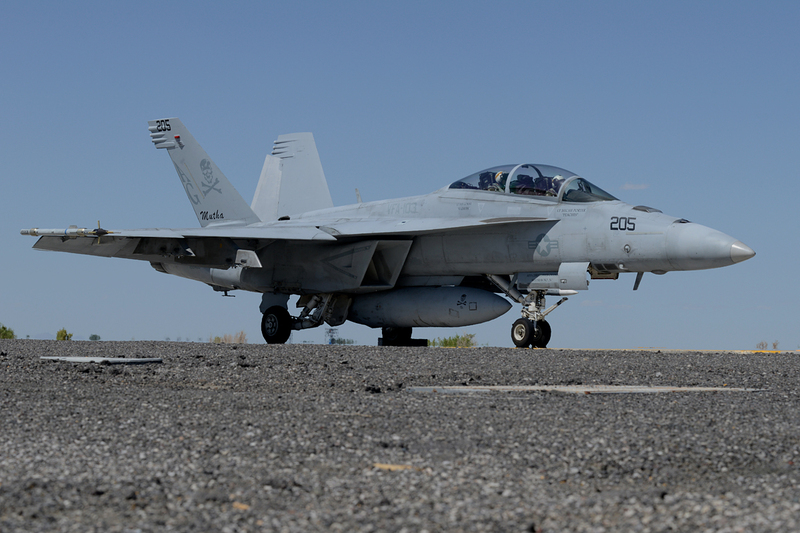 Fallon was the Navy’s choice and in 1943, it seized control of the two 5,200-foot runways. Construction of barracks, hangars, air traffic control facilities and target ranges soon began to take place. 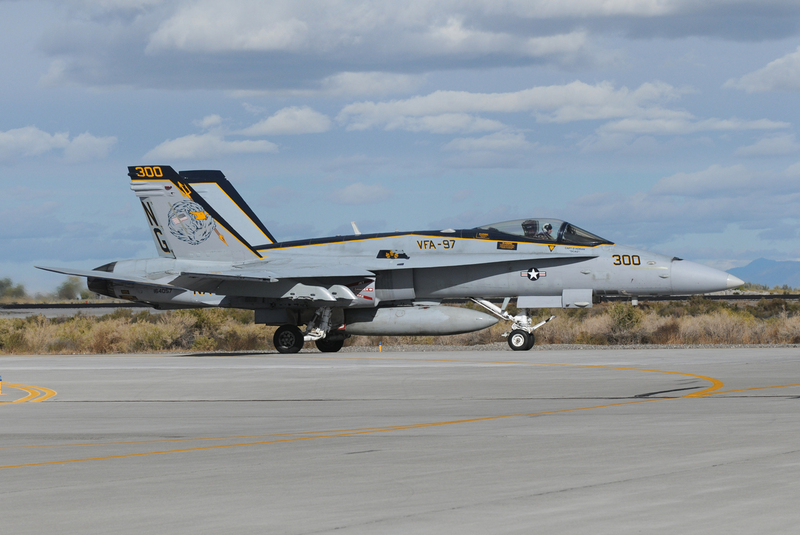 A year later, on June 10, 1944, Naval Auxiliary Air Station Fallon was commissioned. Training operations peaked in the summer of 1945 when more than 12,000 flight hours were logged, with an average of 21,000 take-offs and landings being recorded at the station. Just as the construction of the initial airfield project was finalized, the Japanese surrendered and brought an end to N.A.A.S. Fallon. The station was placed in a “reduced operation status” only three months after the opening of a new Commissary. 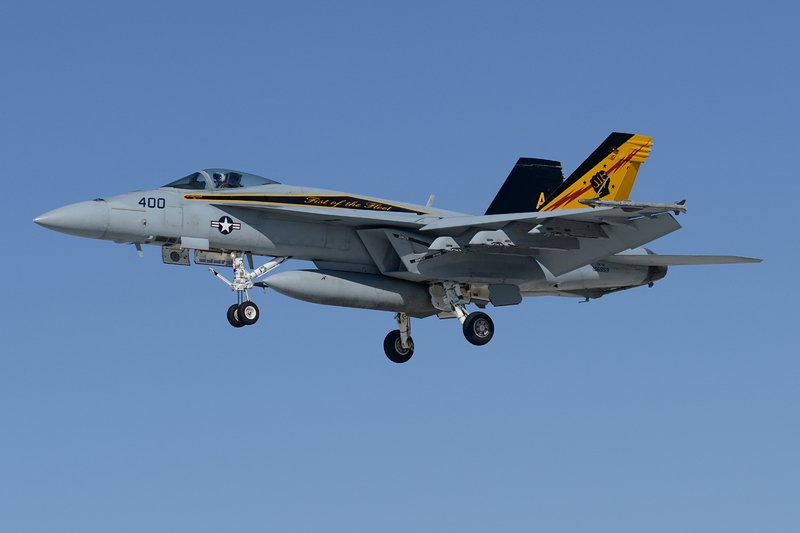 This status was further reduced to a “maintenance status” and on June 1, 1946 the official designation of Naval Auxiliary Air Station was removed. The station was now in a “caretaker status”. New life was brought to the small desert installation with the start of the Korean conflict. 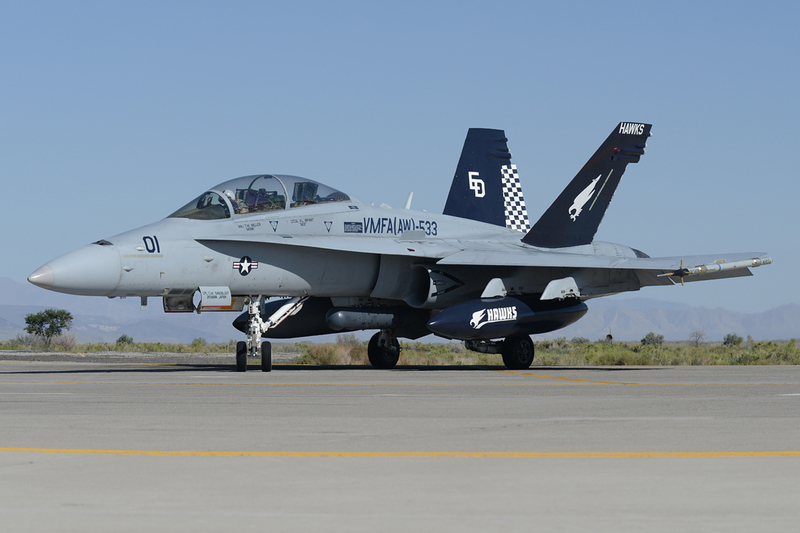 The Navy found reason to train pilots in the new sophisticated jet aircraft and in 1951, Fallon became an Auxiliary Landing Field for the N.A.S. 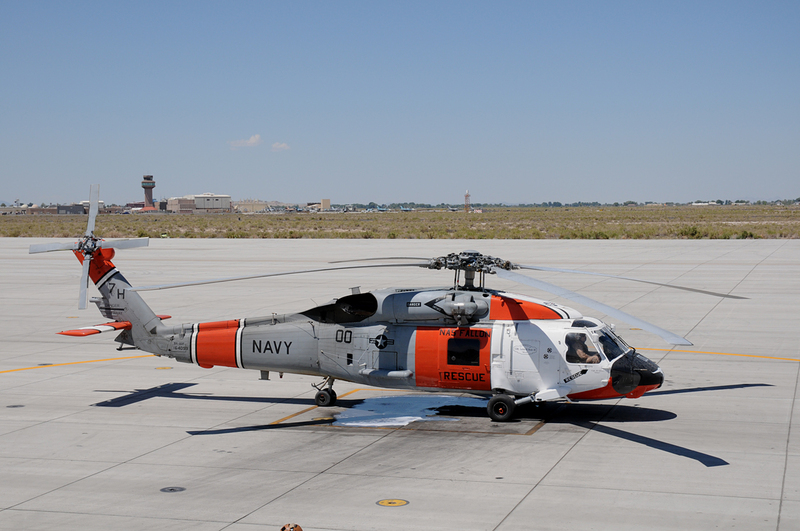 Alameda Calif. N.A.A.S Fallon was reestablished by order of the Secretary of the Navy on Oct. 1, 1953. 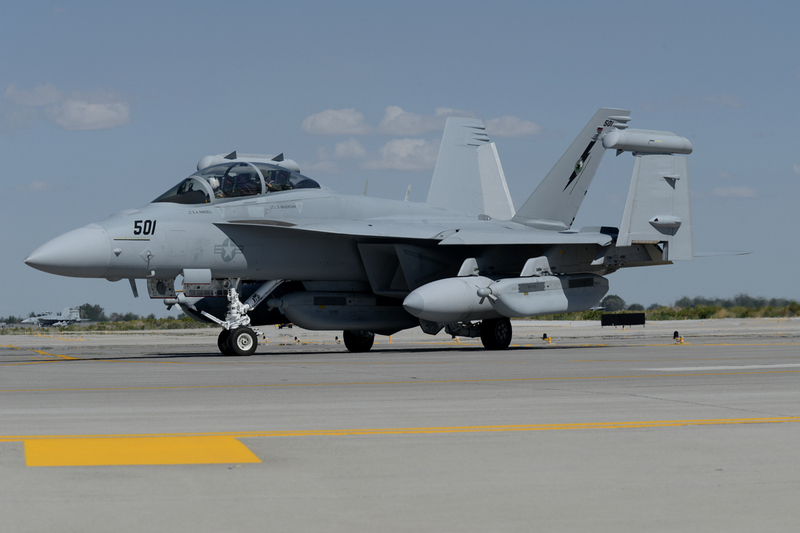 The present bombing ranges, Bravo 16, 17 and 19, were created in that year. 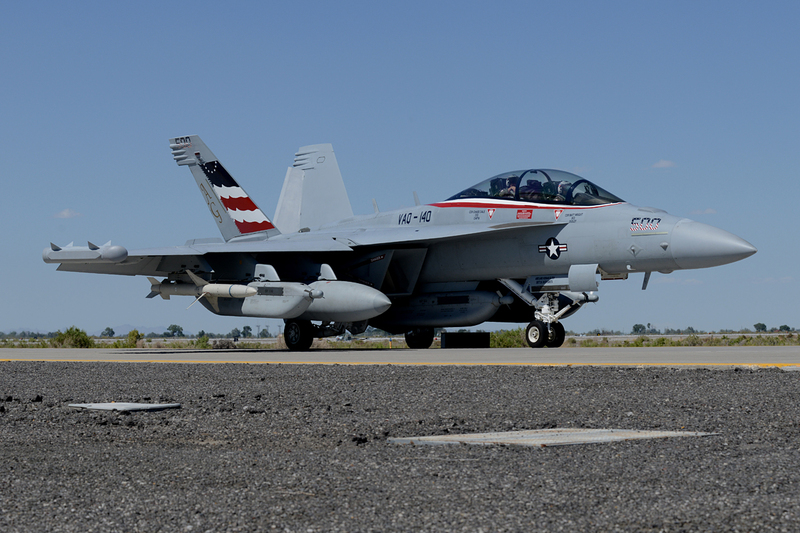 The Fallon air station grew to become one of the main training sites for Navy and Marine Corps pilots and ground crews. Over the next 30 years new hangers, ramps, housing and other facilities were built to give the installation new and greater capabilities. In 1958, the airfield became known as the Van Voorhis Field. It was named after Lieutenant Commander Bruce A. 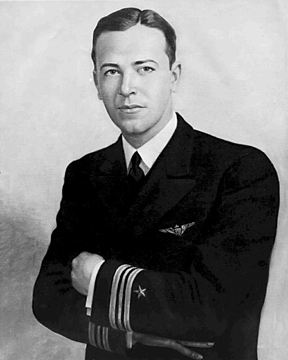 Van Voorhis, who was a Fallon native and receiver of the Congressional Medal of Honor (posthumously) for service in the South Pacific during WWII. 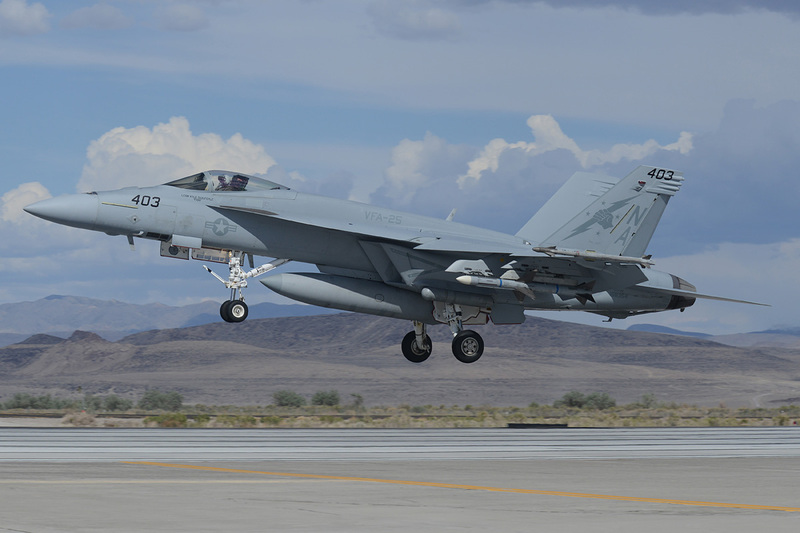 After establishment of the airfield’s most sophisticated range, the electronic warfare range, the Navy recognized Fallon’s importance to naval aviation by upgrading the base to a major aviation command. 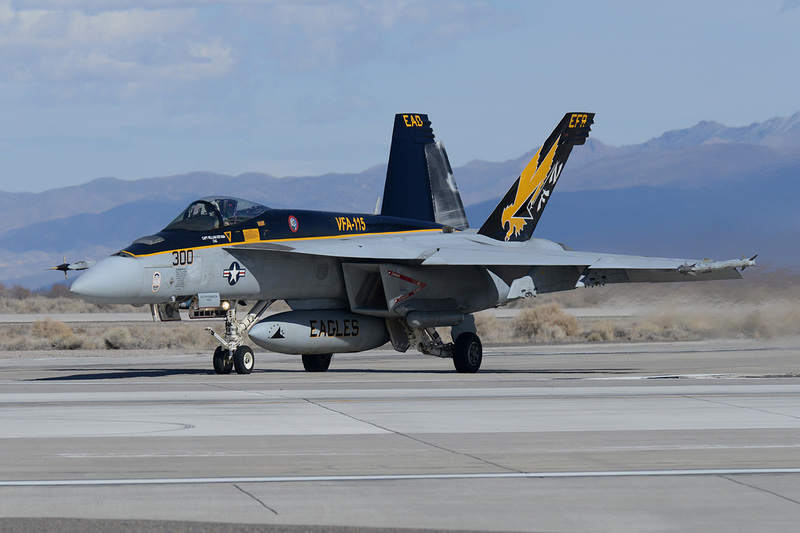 On January 1, 1972, NAS Fallon was commissioned. The air station experienced substantial growth in the 1980s. In order to keep up with demand, new hangers and a state-of-the-art control facility were built. 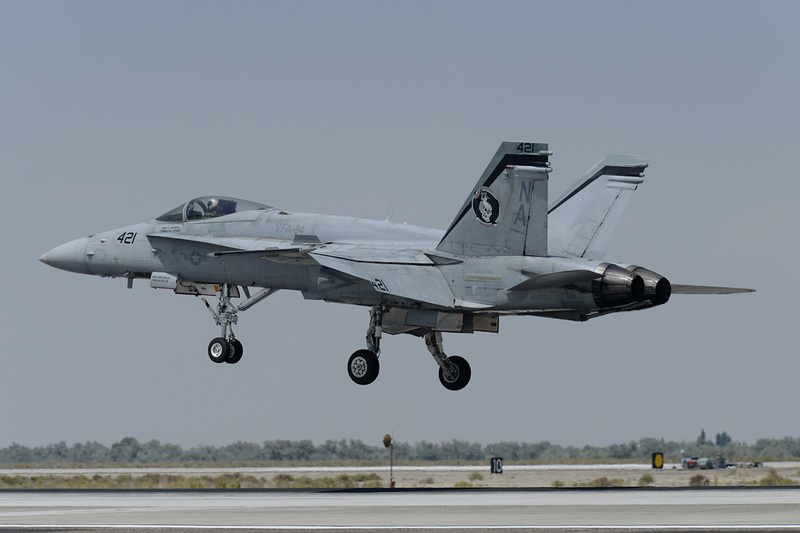 Due to challenges faced by deployed air wings in conducting contingency strike operations from aircraft carriers in the Mediterranean Sea into Lebanon, the Navy also constructed a new training center. The Naval Strike Warfare Center was established in 1984 and served as the primary authority for integrated strike warfare tactical development and training. 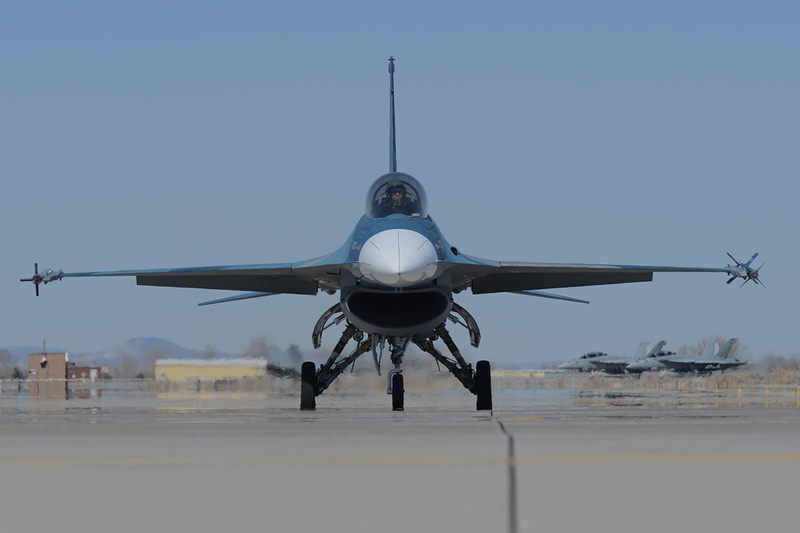 It soon became the training evolution that air wings went through during their inter-deployment training cycle. 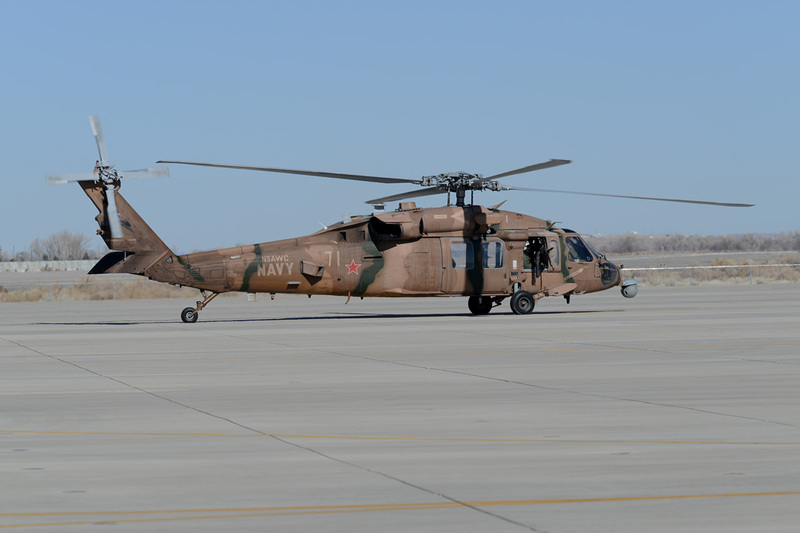 After completion of this four week training course at Fallon, an air wing was ready for combat anywhere in the world. 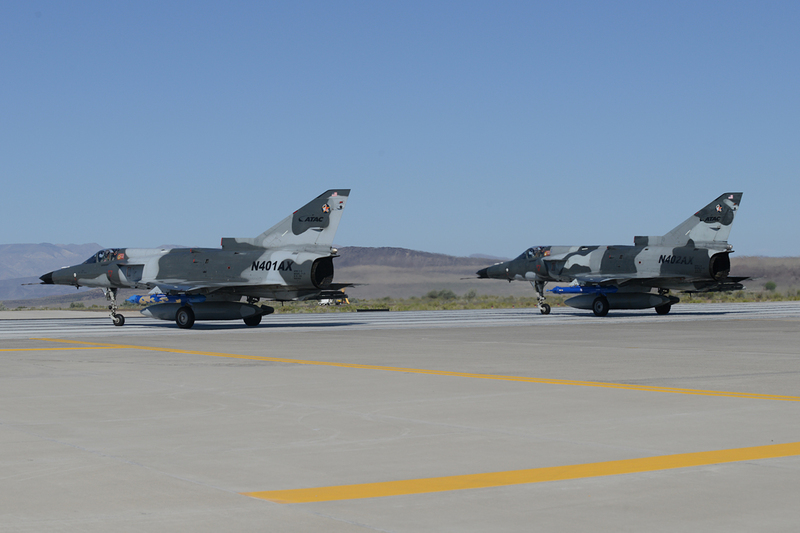 In order to aid its aircrews in training, Fallon received the Tactical Aircrew Combat Training System (TACTS) in 1984. 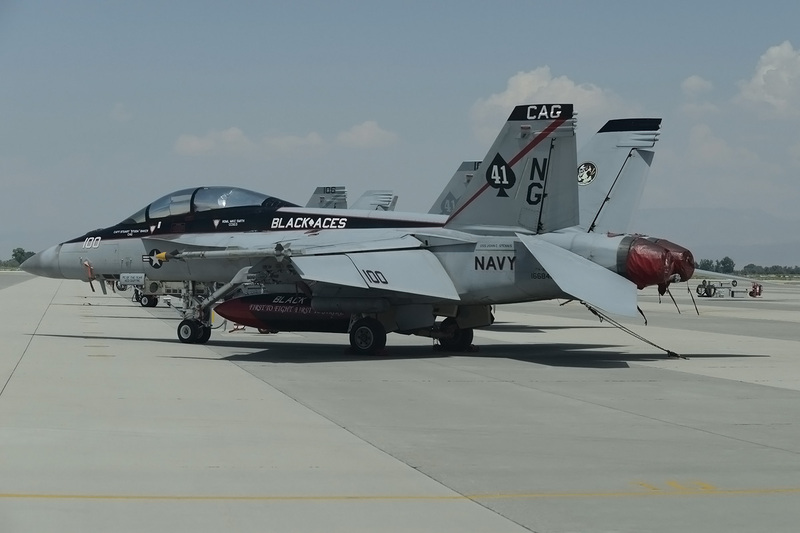 The tool provided squadrons, carrier air wings and students from the Naval Strike Warfare Center with visual, graphic displays of their missions. 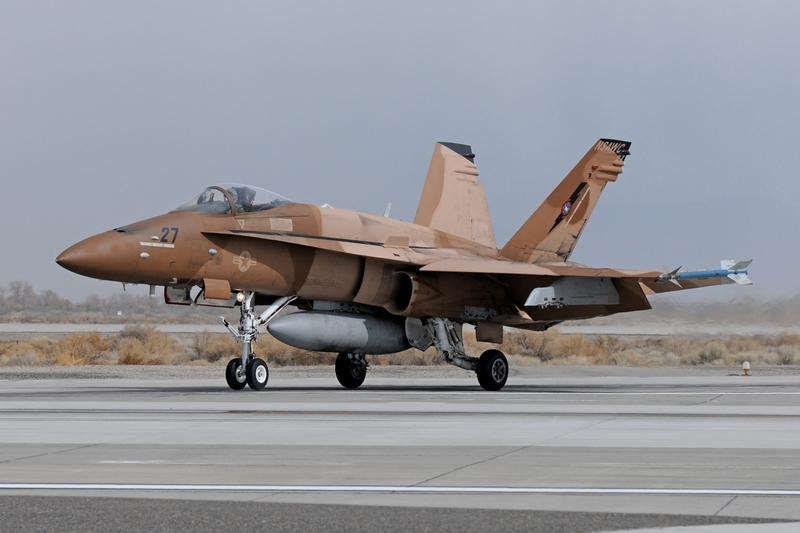 While NAS Fallon provides training for visiting carrier air wings, the “Desert Bogeys” (Strike Fighter Squadron 127), was the station’s only permanently based squadron. This lasted from October 1988 until disestablishment in March 1996. 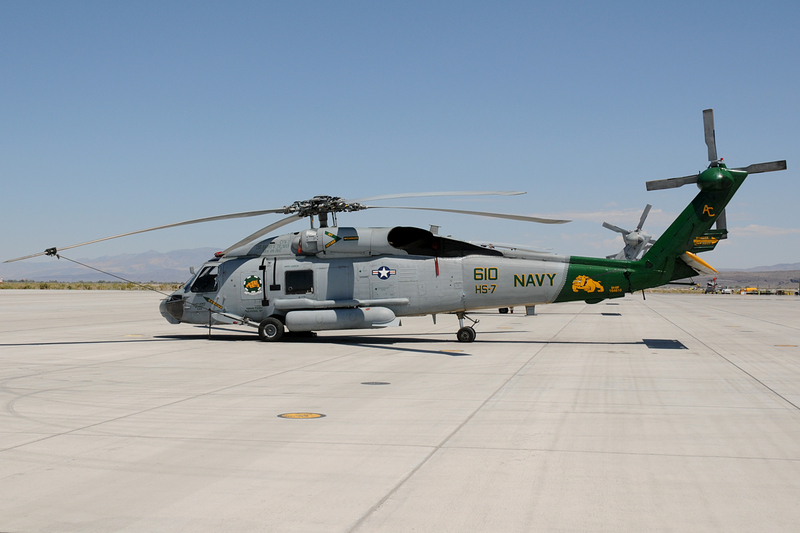 The base continued to expand its role as the pinnacle of naval aviation tactical training throughout the 1990s. 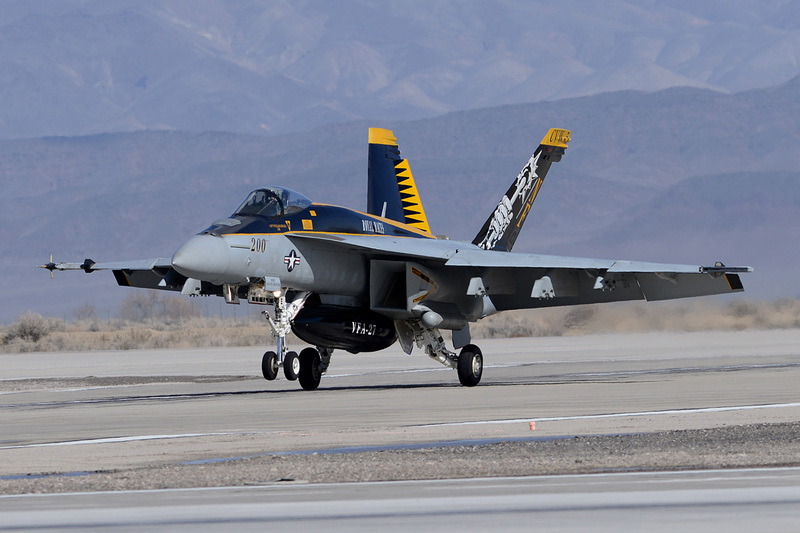 The Navy Fighter Weapons School (TOPGUN) and the Carrier Airborne Early Warnings Weapons School were moved from San Diego to Fallon in early 1996. In order to accommodate the arrival a new hangar, ramp and an academic building were built in 1995. 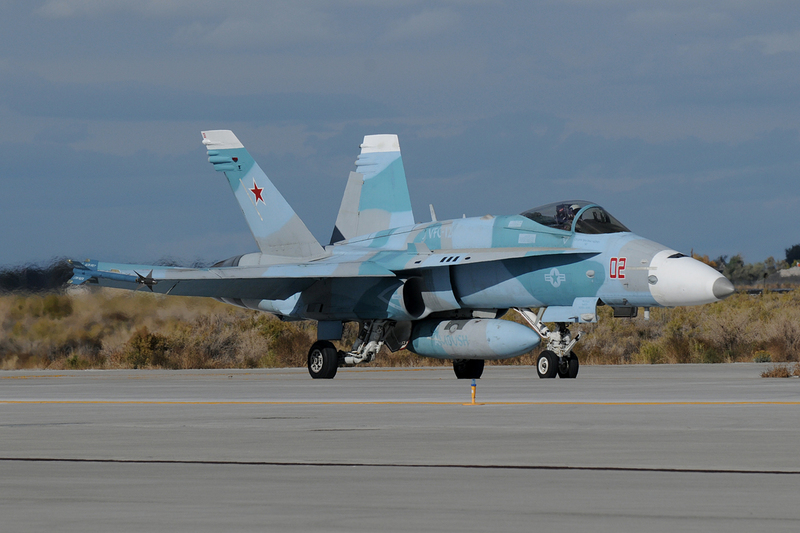 The training center continued to instruct all aspects of tactical integrated air warfare. 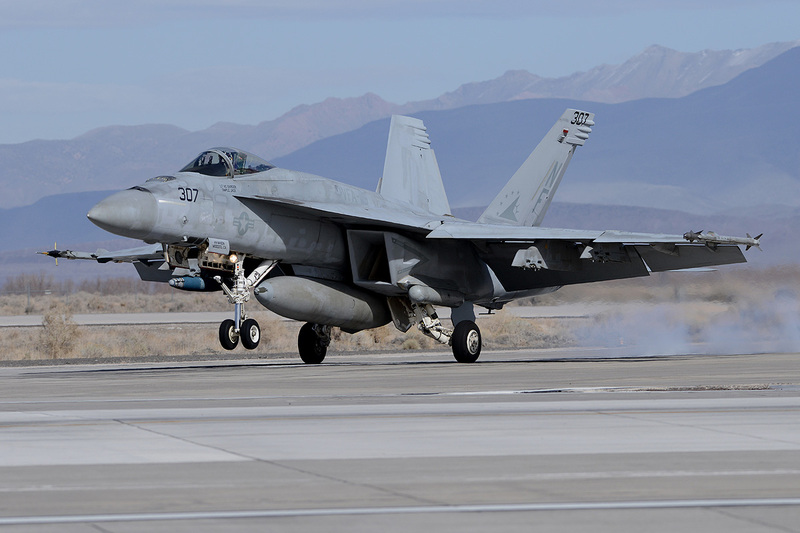 This included air wing training detachments, TOPGUN classes, E-2 Hawkeye mission commander courses but also the development of advancements in tactics and procedures. 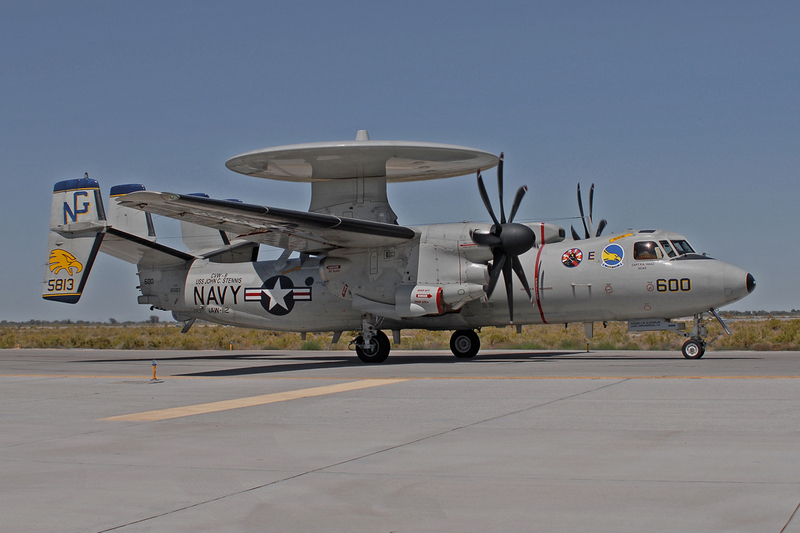 Also relocated to Fallon in 1996 was the CBMU 303, a Seabee construction maintenance unit. 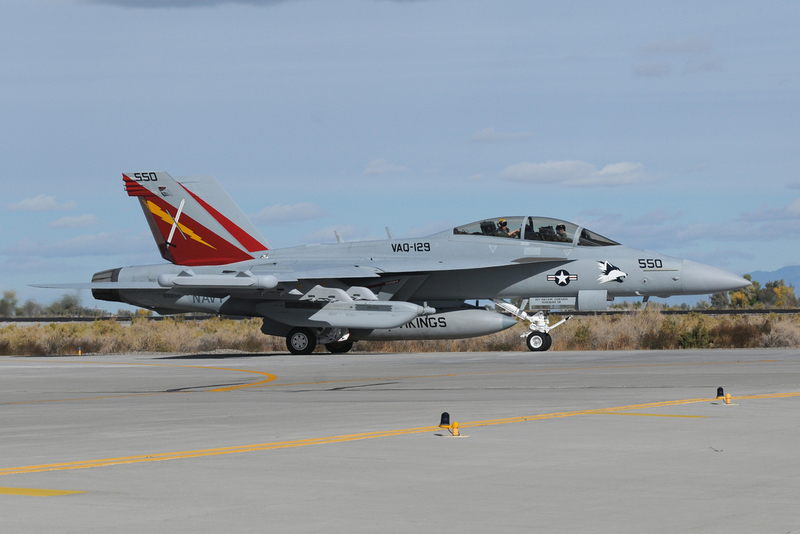 The “Fighting Saints”, Fighter Composite Squadron Thirteen (VFC-13), replaced the adversary “Desert Bogeys” squadron at Fallon. 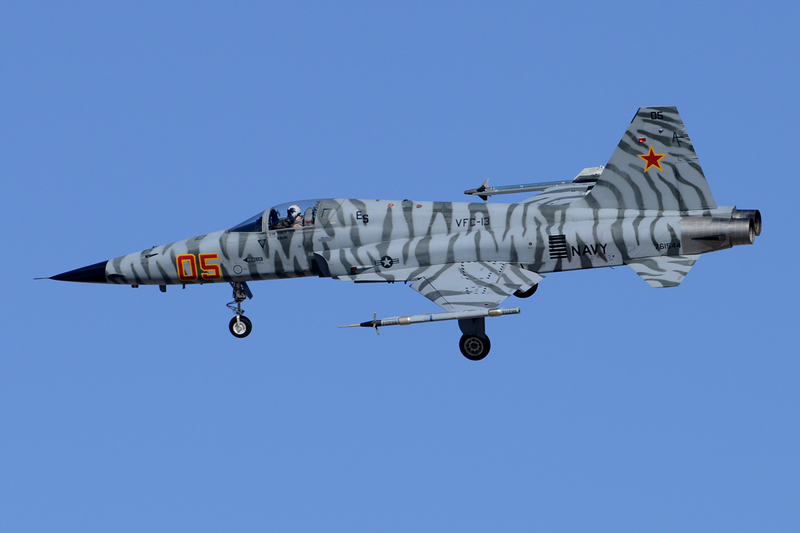 They took over the duties of the disestablishing Strike Fighter Squadron 127 in flying F-5 Tiger IIs that same year. 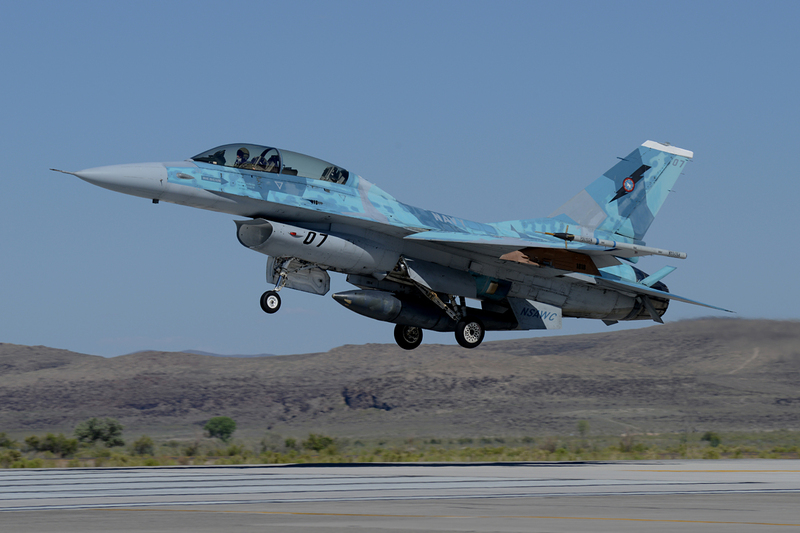 Moving into the 21st Century, NAS Fallon has been in the forefront of preserving the existing training areas while planning to meet future requirements. 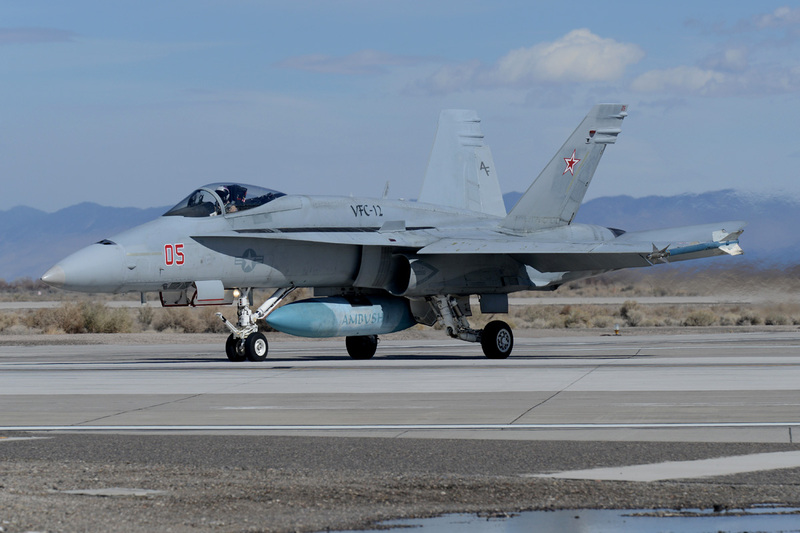 Its unsurpassed air-to-ground and electronic warfare ranges, the air space available for training over Northern Nevada and its long range visions for the future makes NAS Fallon an integral part to keeping America’s Naval Forces trained and ready. Now, and in the future. 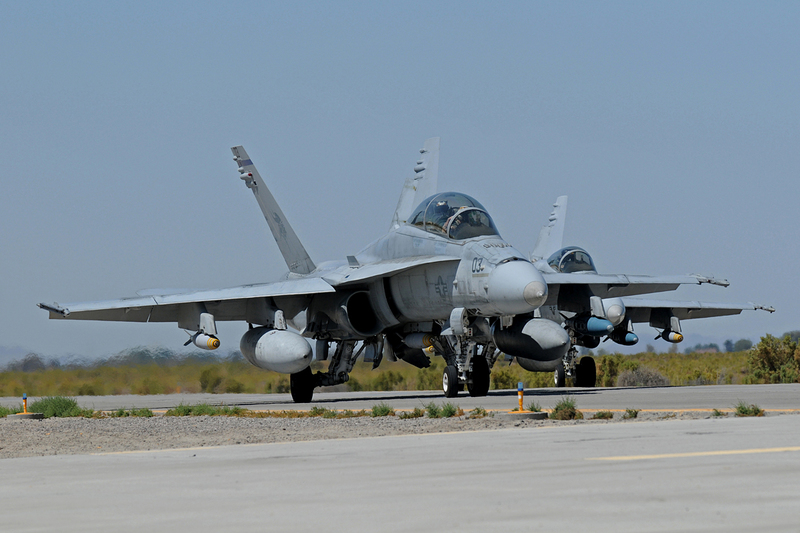 The NAWDC provides training, assessments, aviation requirements recommendations, research and development priorities for integrated strike warfare, maritime and overland air superiority, strike fighter employment, airborne battle management, Combat Search and Rescue, Close Air Support and associated planning support systems. It is therefore the primary authority on training and tactics development. 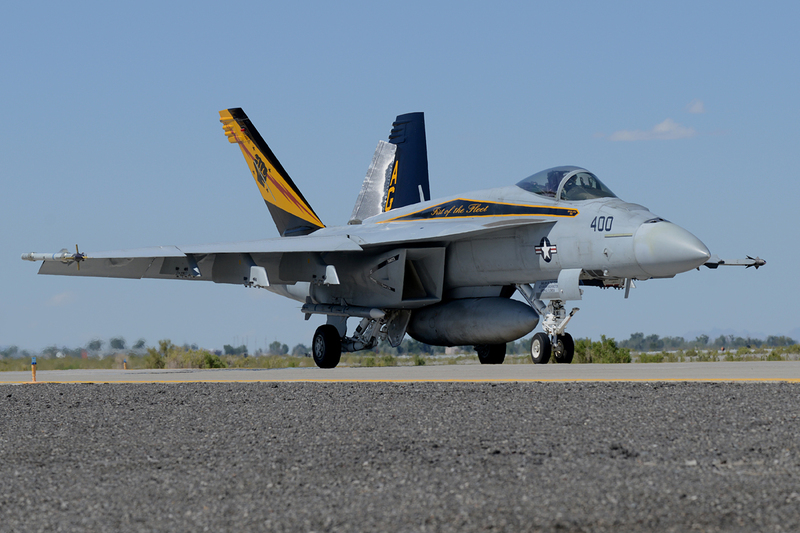 It is also responsible for the development, implementation, and administration of several courses of instruction while functioning as the main point of contact for all issues relating to the Air Combat Training Continuum for the Navy. 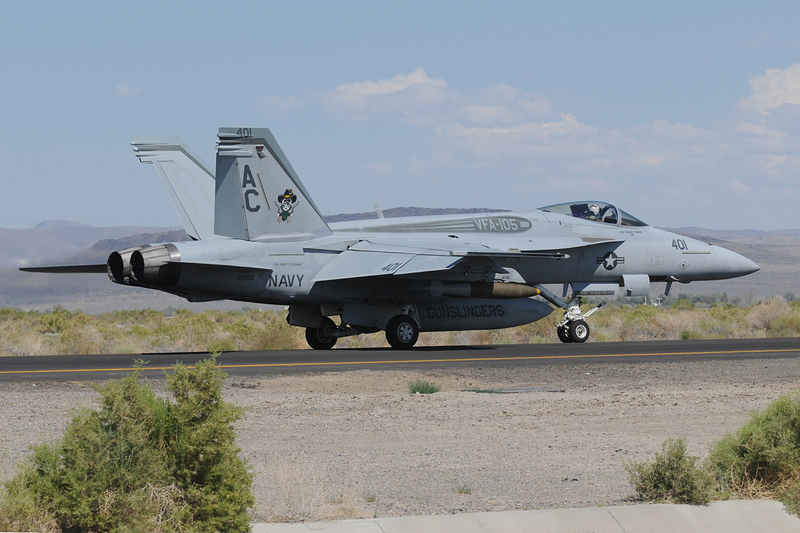 The NAWDC is also the Navy point of contact for all issues related to the Fallon Range Training Complex. 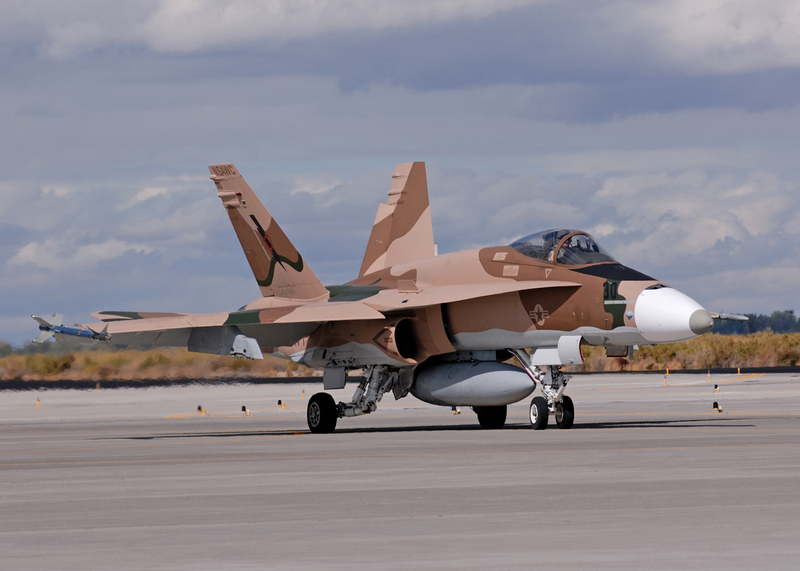 The development of tactics and assessment for tactical aircraft is under command of Plans, Programs and Tactics ‘N5’. This also includes program management & participation, mission planning, inter/intra service liaison and the command over SH-60 helicopters. Training regarding graduate-level command, control, communication, computer intelligence and battle management to E-2 aircrew is under command of the C41/C2W ‘N6’ Department’. 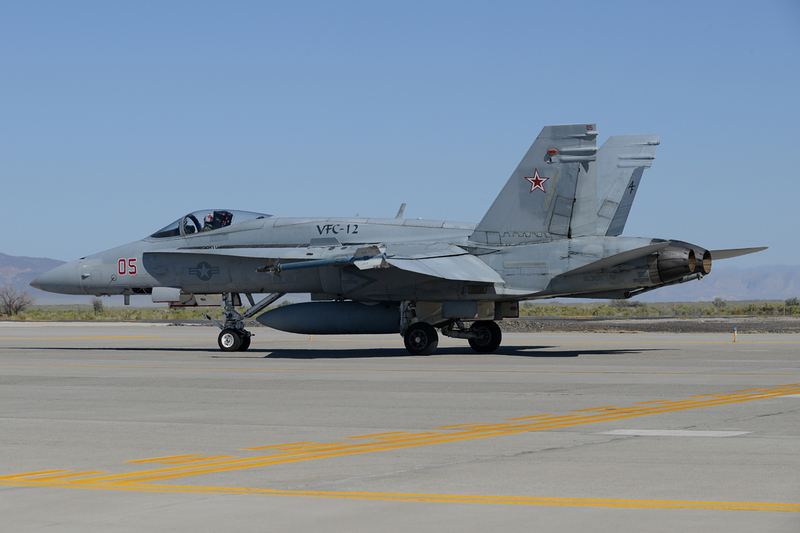 This also includes joint inter-operability training to naval warfare communities, U.S. Air Force, and NATO commands. 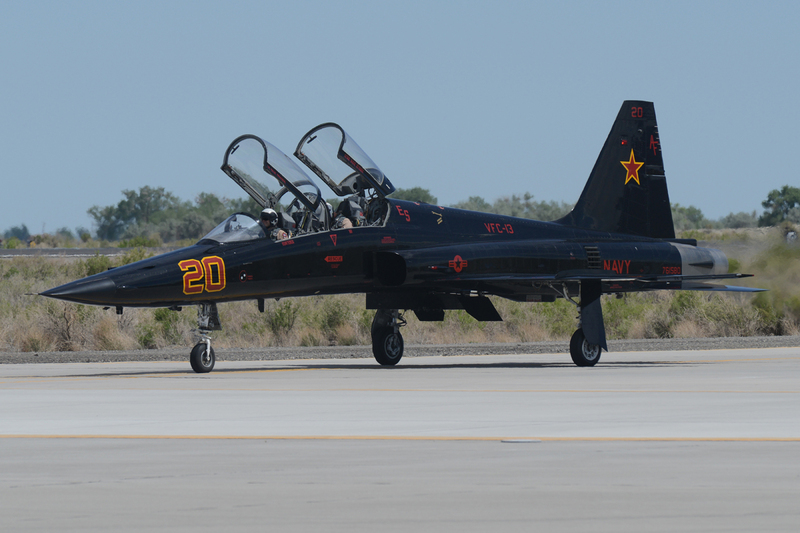 Instruction for graduate-level strike-fighter employment through the TOPGUN Strike Fighter Tactics Instructor course (SFTI) is under command of the Training and Standardization Department ‘N7’. It also conducts the Strike Leader Attack Training Syllabus (SLATS) and Senior Officers Course (SOC). 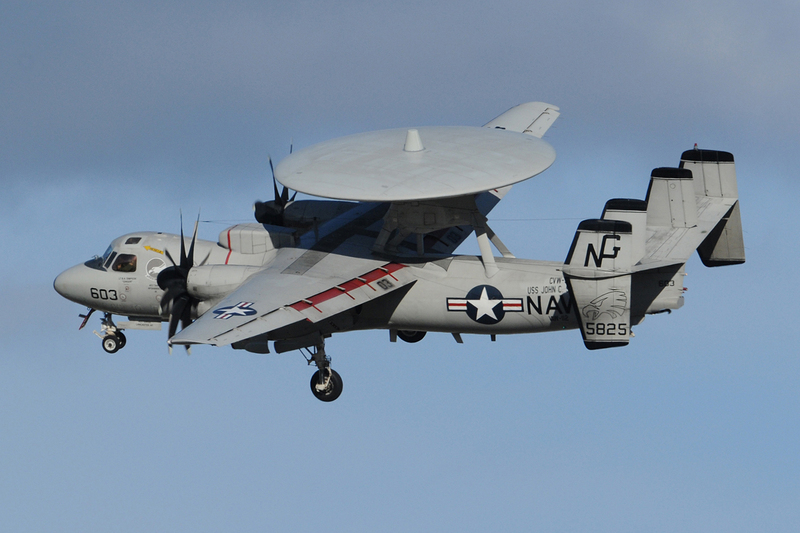 Next to this, N7 also manages air wing power protection training. 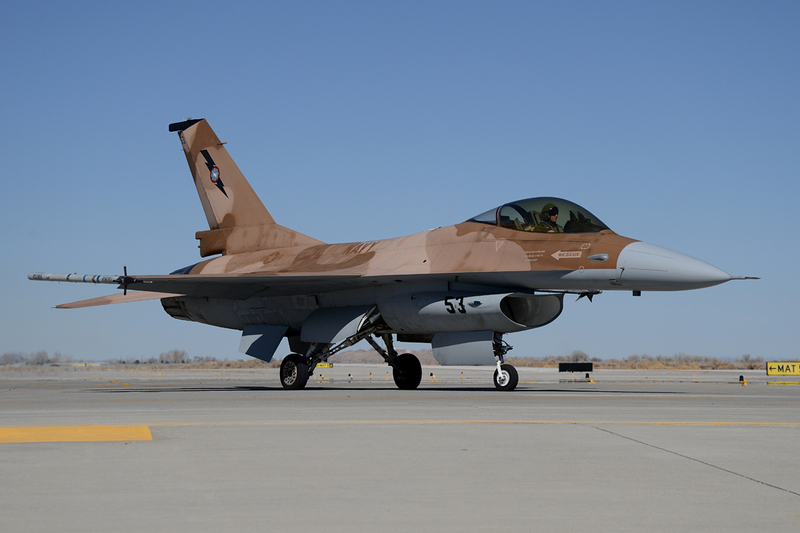 The overseeing and managing of the usage, maintenance, and operation of the equipment in the Fallon Range Training Complex is under command of the Range Department ‘N8’. This includes the Advanced Data Display System (ADDS). 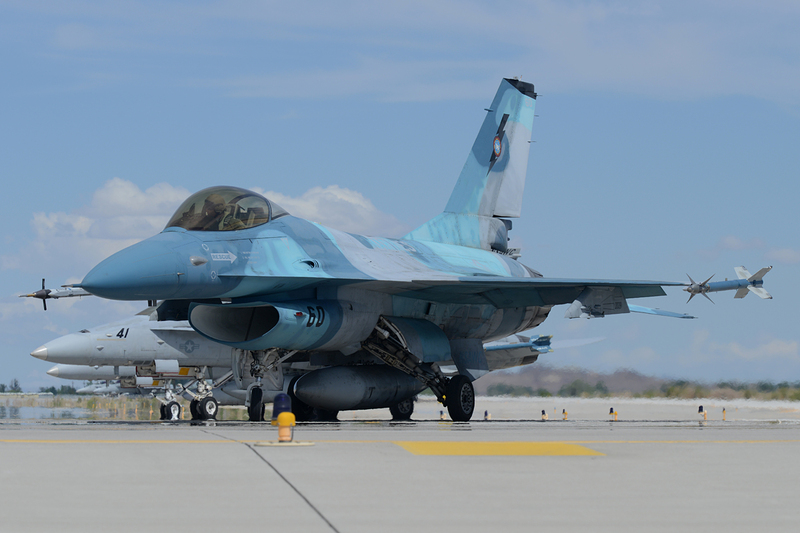 Lastly, the Operational Risk Management/Safety Department ‘N9’ manages air-and-ground related safety programs as well as medical training programs. 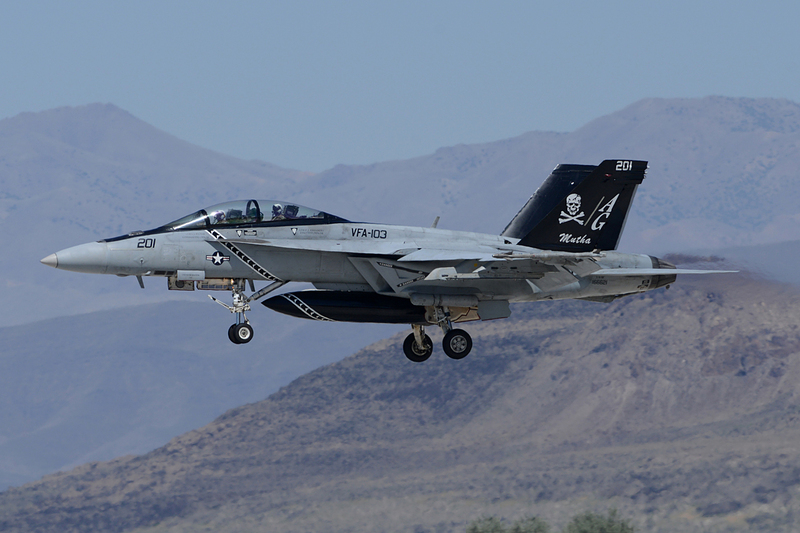 The FRTC is used extensively by the carrier air wing (CVW) training and the TOPGUN SFTI course. 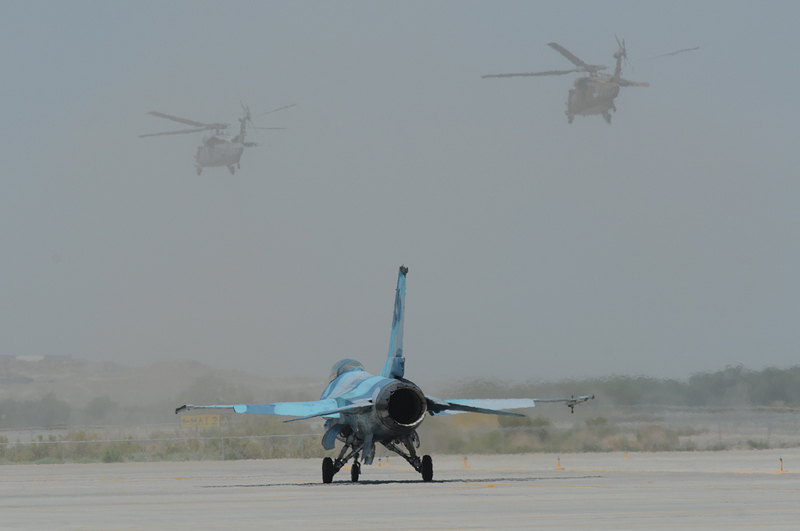 Air wing training involves bringing together all of an air wing’s squadrons for a duration of one month, providing strike planning and execution training opportunities in a realistic, dynamic, scenario-driven, simulated wartime environment. 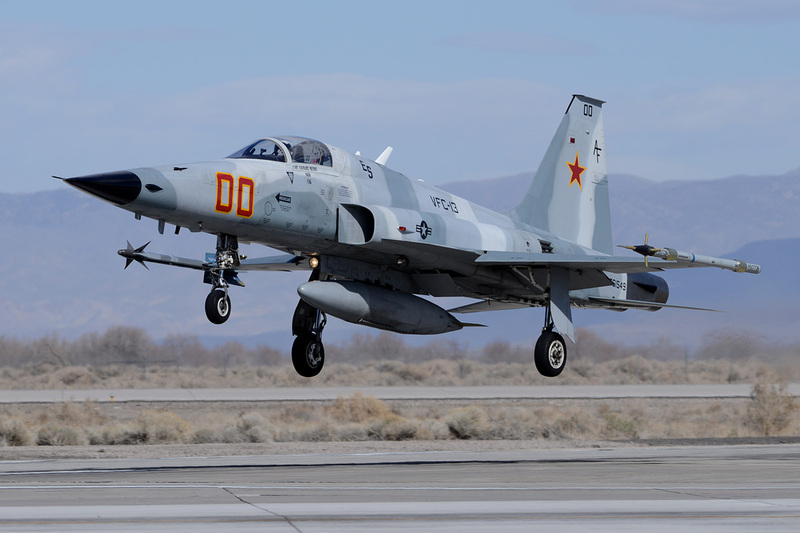 The air wing training consists of power protection training in strike warfare, amphibious operations, joint battlefield operations, CAS, and CSAR. 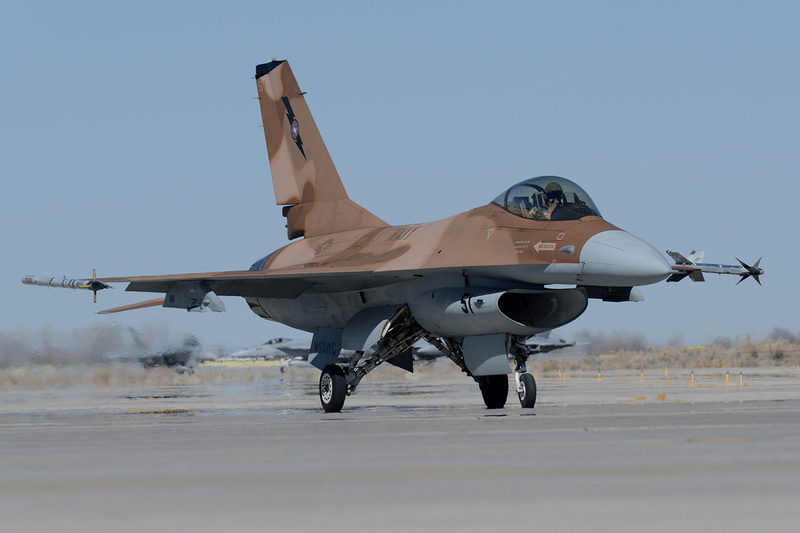 The SFTI course is focused on training individuals in the art of air-to-air & air-to-ground superiority. 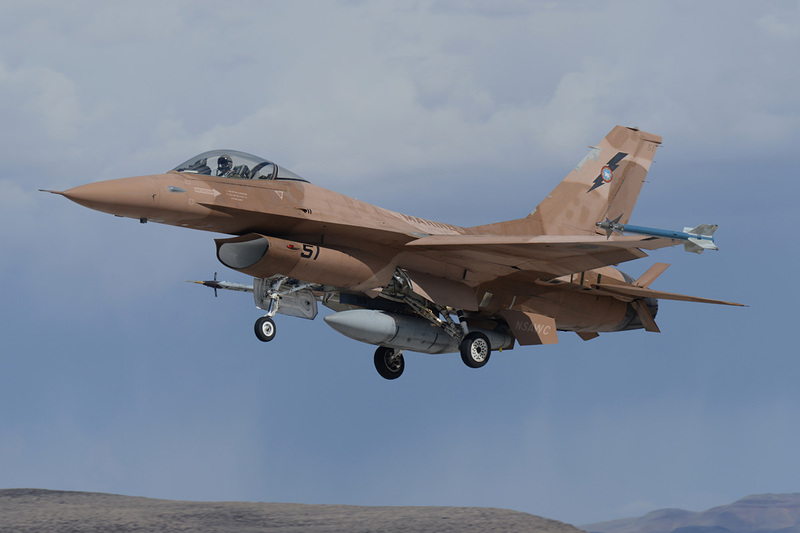 This highly advanced training is conducted in the F/A-18 and F-16 and includes tactics, hardware, and threat training. 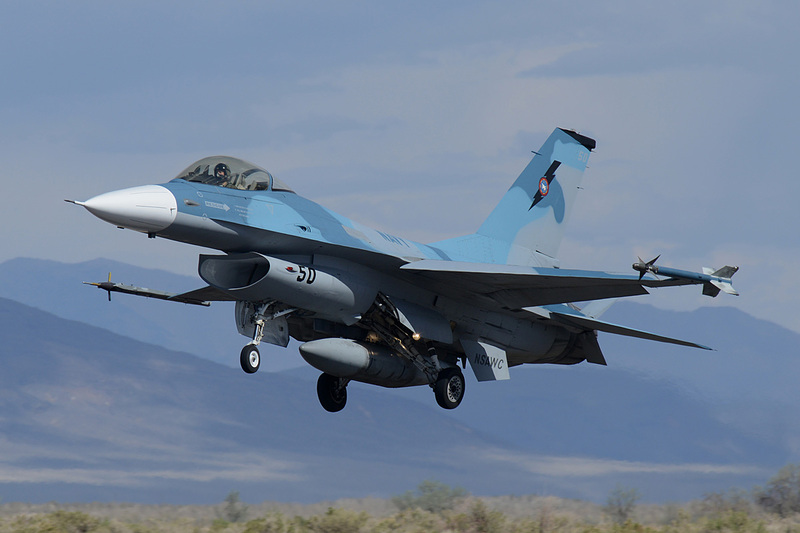 The air wing training is conducted at an average of four times per year, whereas the SFTI course is conducted five times per year. 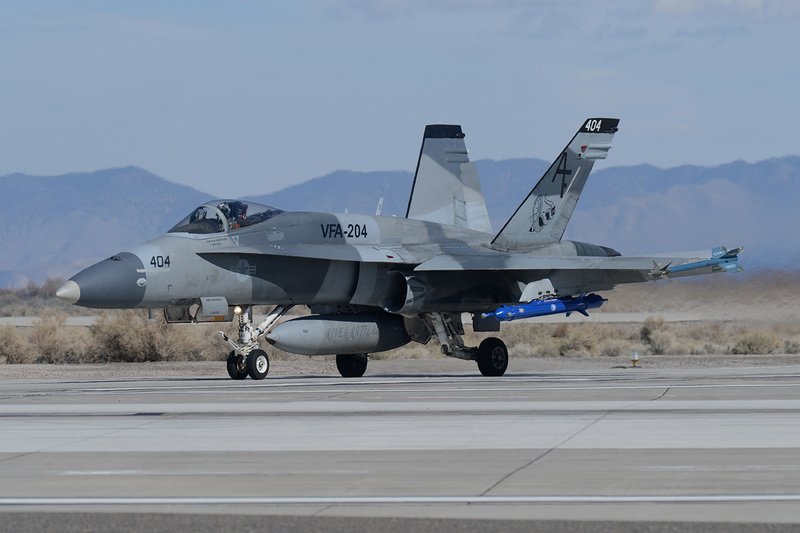 In addition, NAWDC staff members augment adversary air support, or bandit presentations, to support airborne portions of the training. A 10-day CSAR exercise providing all-service participation with one week of exercise-flying is hosted by the NAWDC annually. 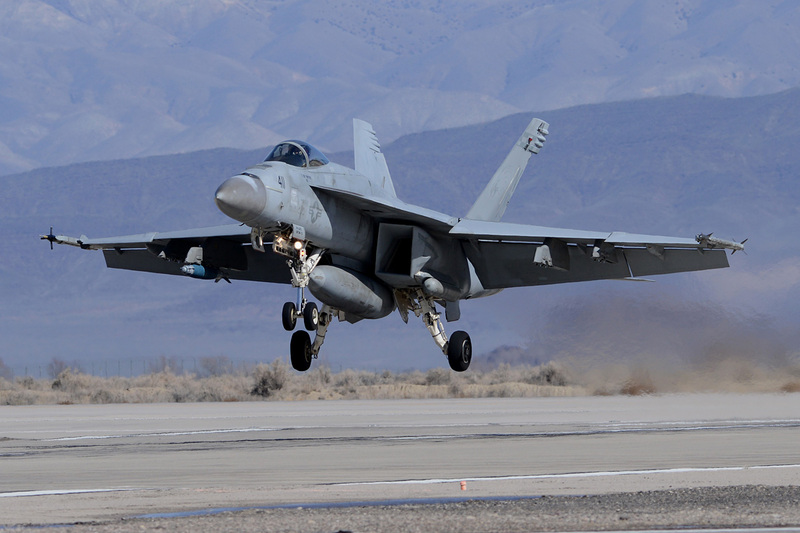 Synchronous with each SFTI course, the NAWDC conducts an Adversary Training Course where pilots receive individual instruction in threat simulation, effective threat presentation, and adversary tactics. In each class, five to six Air Intercept Controllers are trained in effective strike/fighter command and control. Some tactically oriented courses are conducted in a classroom setting. The SOC addresses strategic and tactical issues at the level of battle group commander, air wing commander, and the squadron commanding officer. 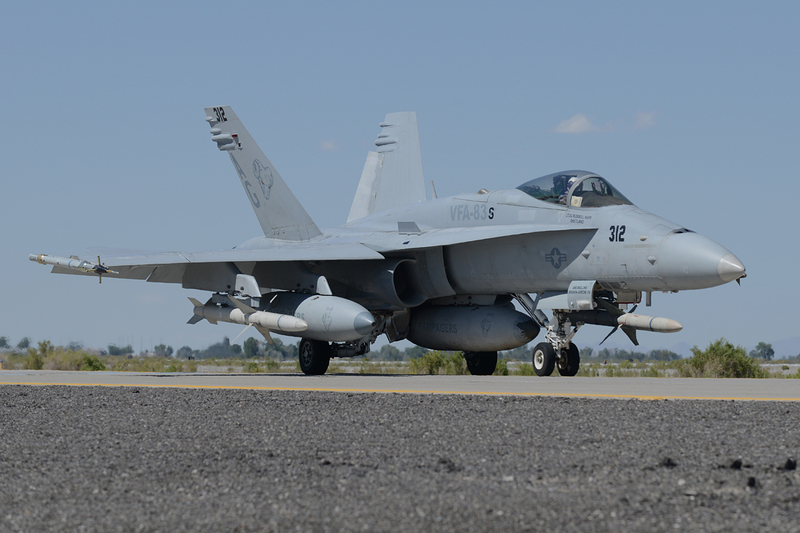 The SLATS program introduces junior Navy and Marine Corps officers to all aspects of air wing, battle group, joint force tactics, planning, and hardware. The Advanced Mission Commander’s Course (AMCC) is another important course. 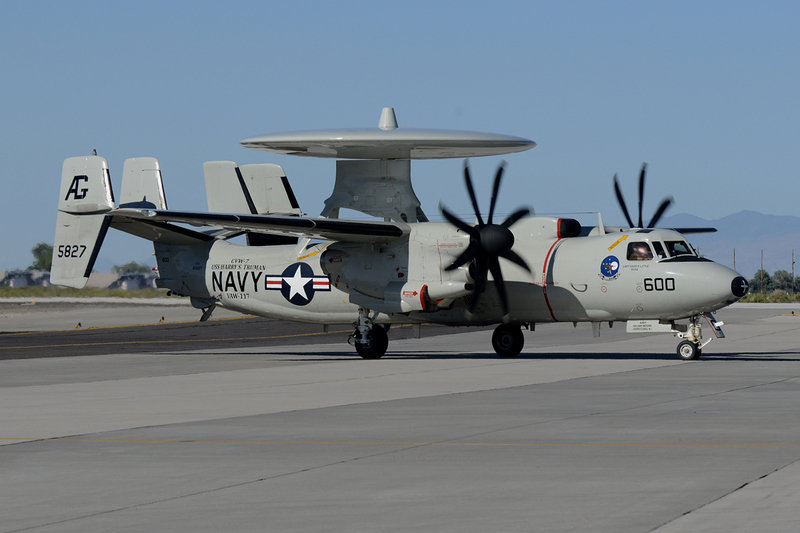 It focuses on the airborne battle management and provides graduate-level command, control, and communication training to E-2C mission commanders and other carrier aircraft plane commanders. 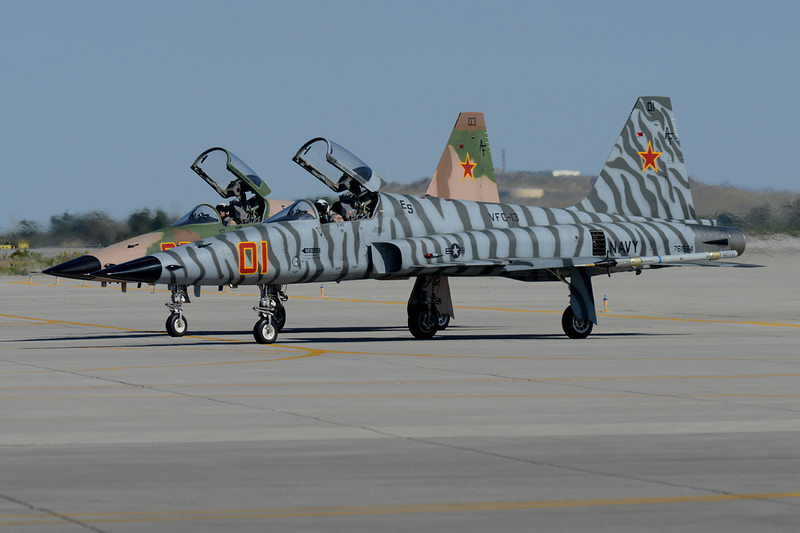 In order to develop the latest in airwing tactics, the Plans, Programs and Tactics department uses both NAWDC and fleet aircraft. 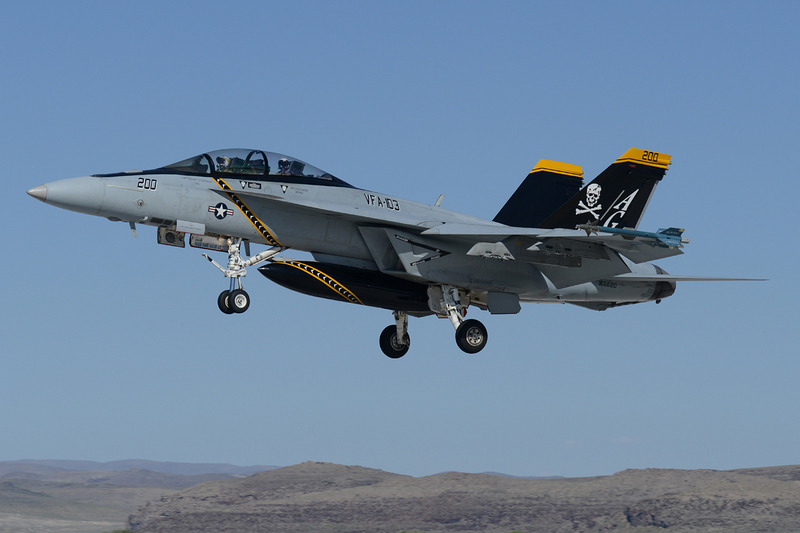 These are then standardized and promulgated to the fleet via the Naval Warfare Publication 3-01 Carrier Airwing Tactical Memo, which is updated bi-annually. The N5 department functions to advise the Chief of Naval Operations on programmatic issues and is a core of expertise. 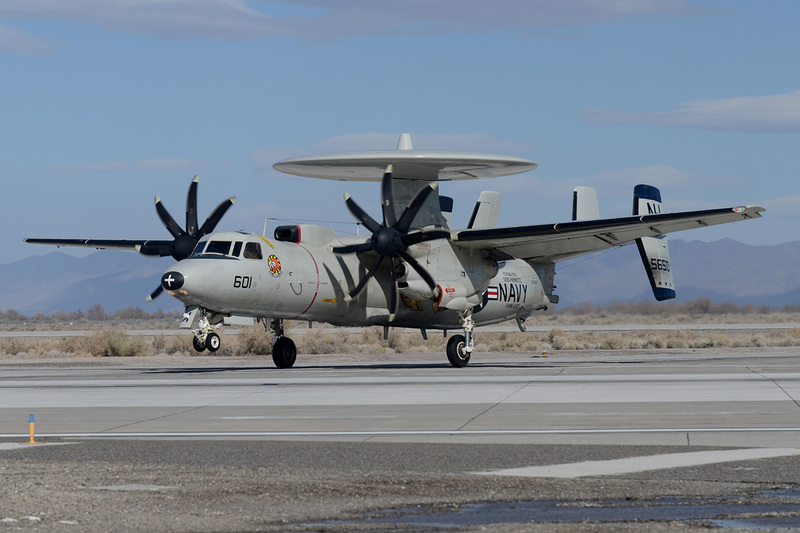 Its support can range from real world operations as targeteers providing extensive liaison to standardization to other Naval and joint training agencies. 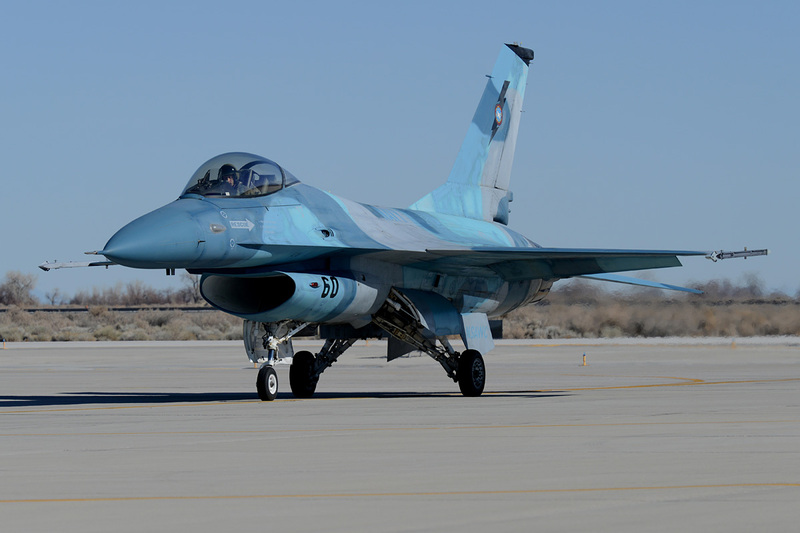 The FRTC encompasses more than 10,200 square miles of airspace east of NAS Fallon. 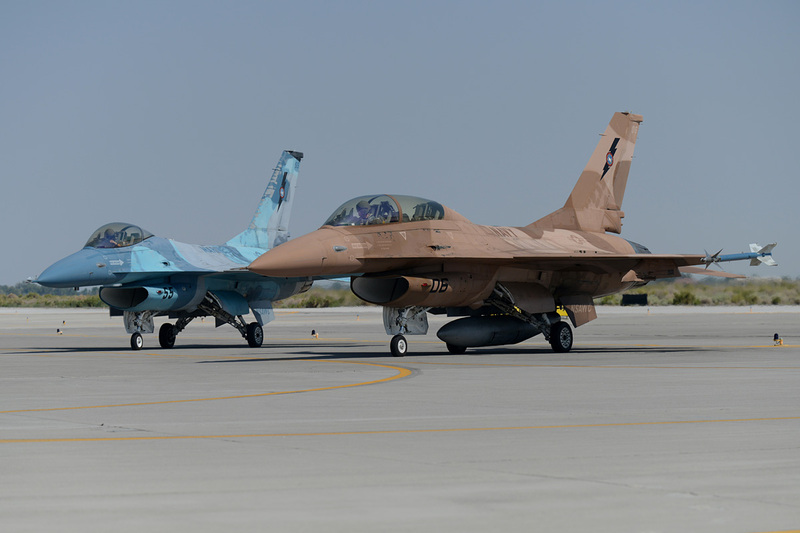 This includes a vast array of electronic systems supporting squadron, airwing- and SFTI training. At the heart of this program is the Advanced Digital Display System (ADDS). This system allows monitoring of each training event as it occurs on the ranges by means of computer-supported real-time digital displays. 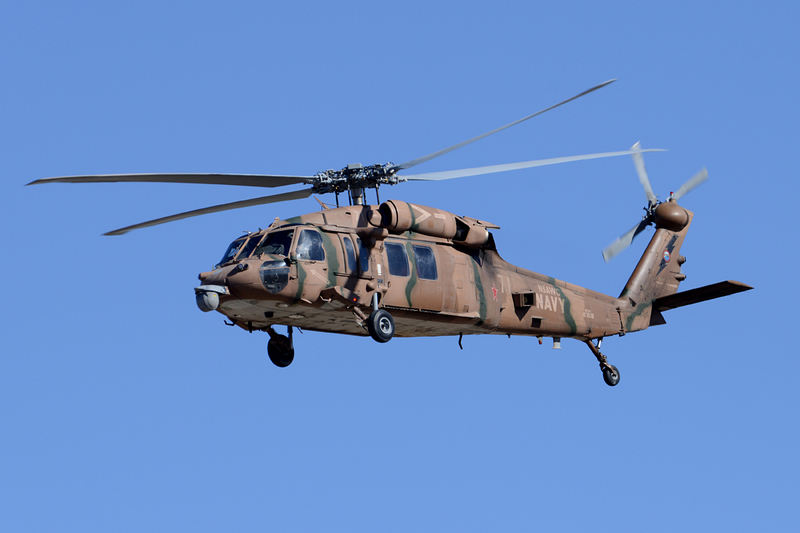 Its recording capabilities make it suitable for debriefing operations and post-flight analysis of procedures and tactics to aircrew. The three dimensional aspect of the system allows controllers and aircrews to view an event from several different aspects. The N2 Intelligence department is one of NAWDC’s most interactive departments. 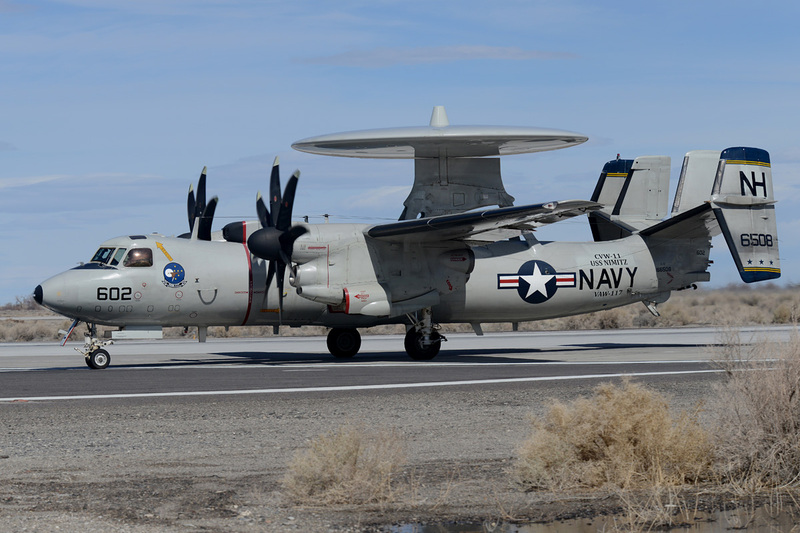 Targeteers, weaponeering experts and intelligence specialists work together to gather data on potential trouble areas around the globe where deployed naval forces might be called for presence or action. 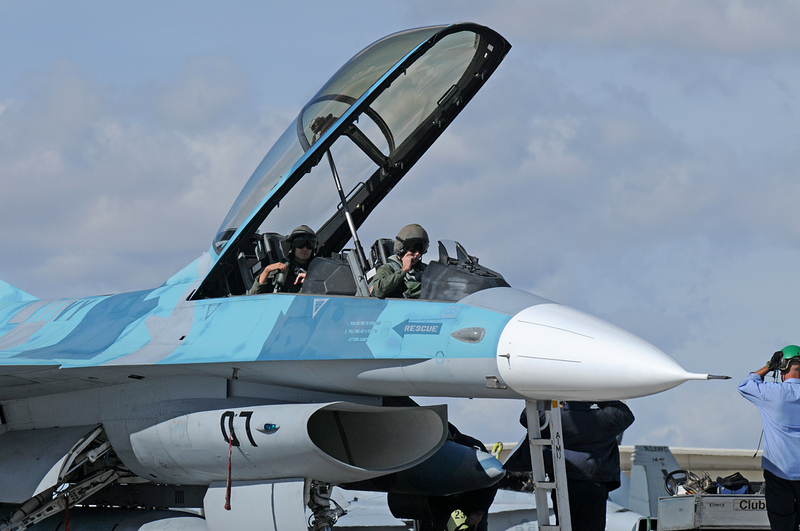 An inherent aspect in the intelligence mission is the preparation of aircrews for all circumstances they may face in combat. Contingency preparation is another vital function of the intelligence department. When called upon, members will deploy, armed with the latest intelligence gathered, to assist commanders in the field. 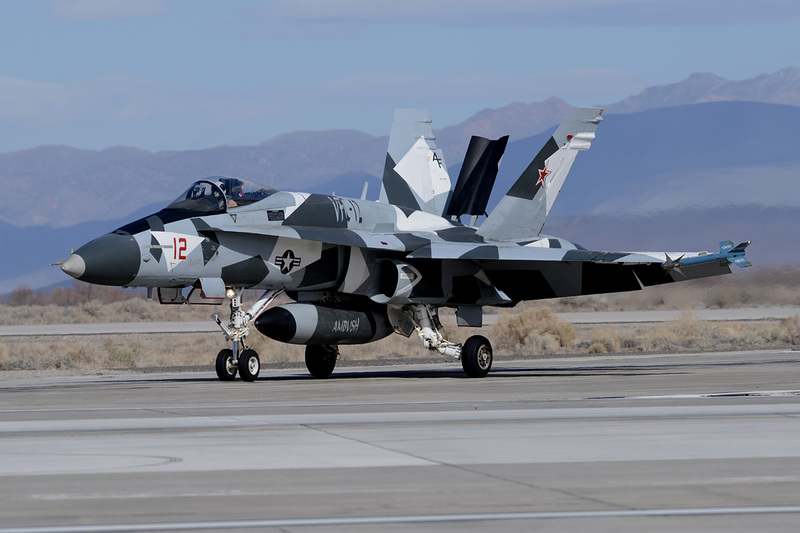 Building of the Airborne Electronic Attack Weapon School at NAS Fallon was completed on the 1st of January, 2011. 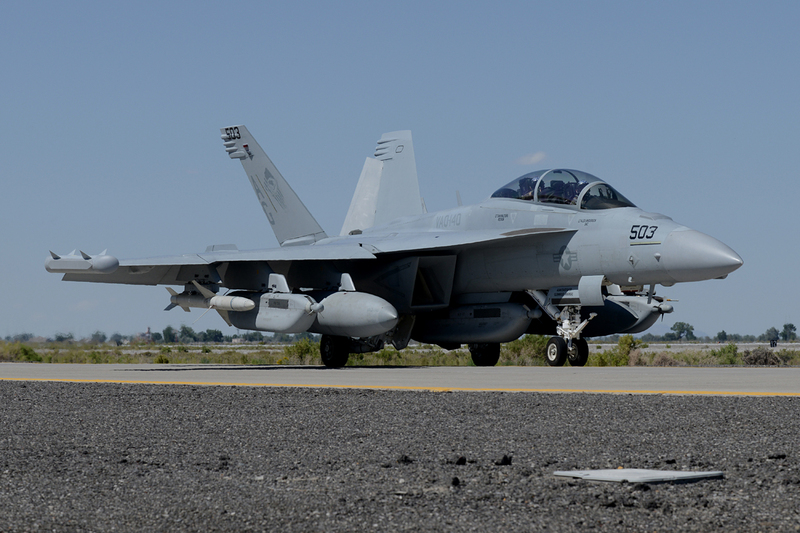 The first Growler Tactics Instructor (GTI) course was conducted a mere four months later of that same year. 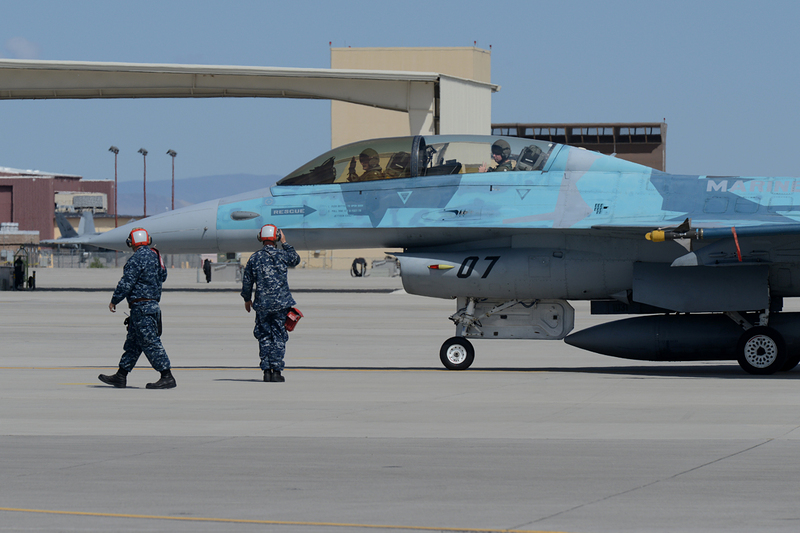 The training was previously conducted at NAS Whidbey Island but Commander, Electronic Attack Wing Pacific decided to move tactics instructor training to NSAWC. The 3rd course was commenced in 2012. With each course having four students, the overall plan is to train 16 students per year. Having originally started with six instructors, there are now 10 instructors with plans for a total of 12. The course lasts for about 12 weeks and includes many facets. 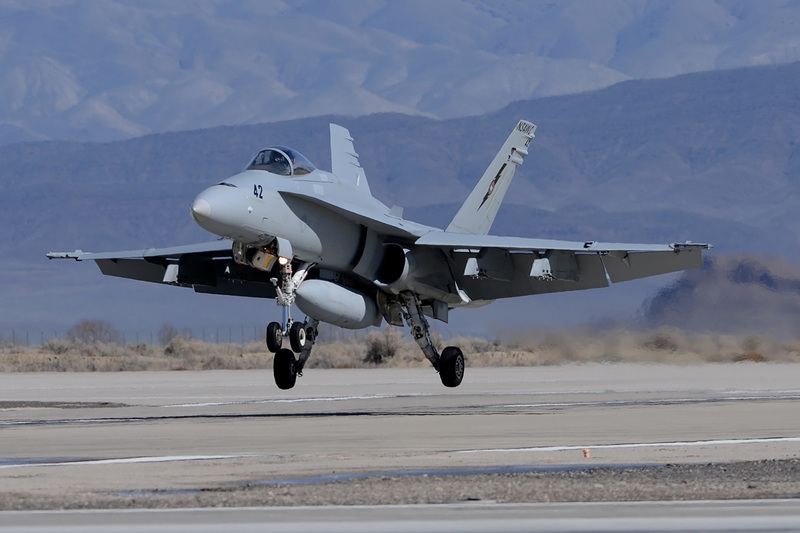 Air-to-air training, simulator events, maritime events, a live weapon shoot, dynamic targeting training, EW close air support, and large force exercises are all part of the curriculum. 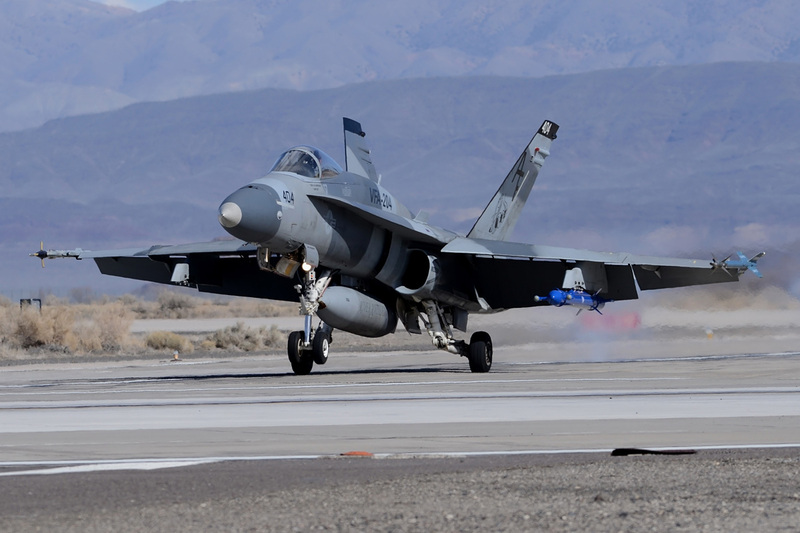 To round off, the final 2 weeks are spent at the Mission Employment (ME) exercise of the USAF Weapon School at Nellis AFB. 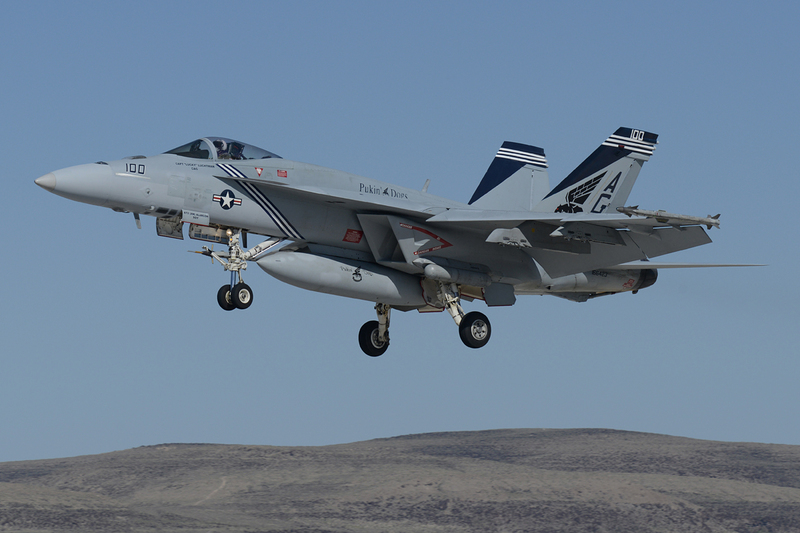 NAWDC is the center of excellence for naval aviation training. 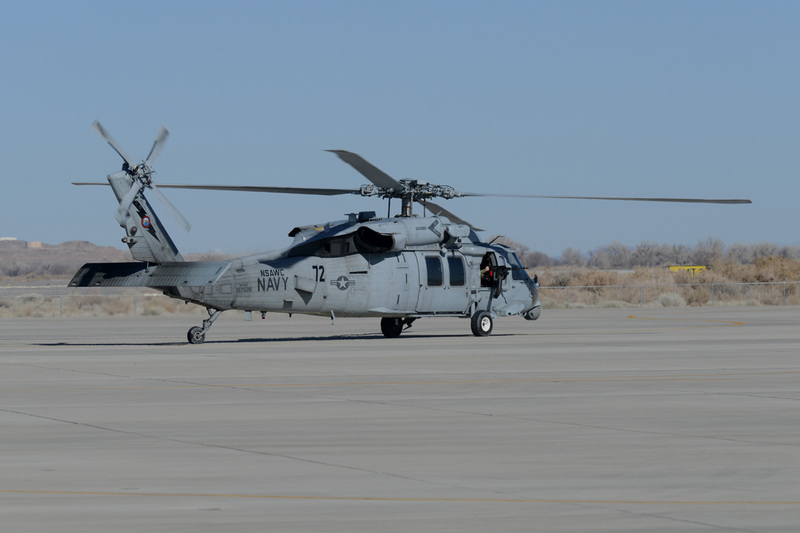 The tactics instructor training for the strike-fighter community, the E-2 community, and the helicopter communities are all conducted at Fallon. 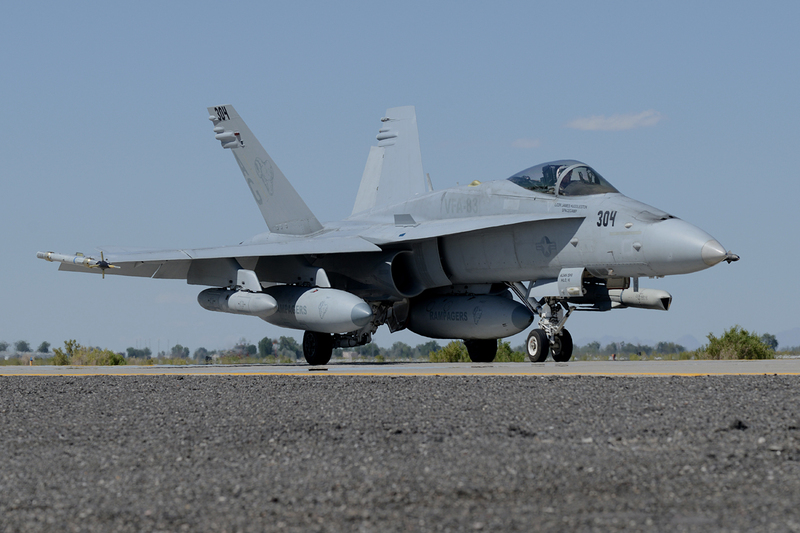 The VAQ community has historically done its tactics instructor training at Whidbey Island but decided to use the transition to the EA-18G to move its tactics instructor training to NAWDC to join the rest of the communities. VFC-13 Insignia. Includes the wings worn by the highest classification of Soviet fighter pilot, the “Sniper”. 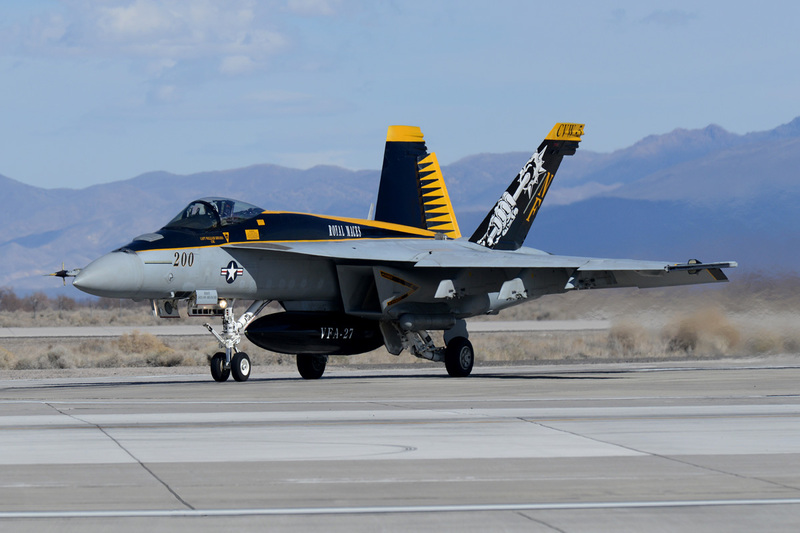 The Fighter Squadron Composite (VFC-13 – Nickname: Saints) is a US Navy fighter squadron that provides the adversary training for U.S. Navy air wings at NAS Fallon. 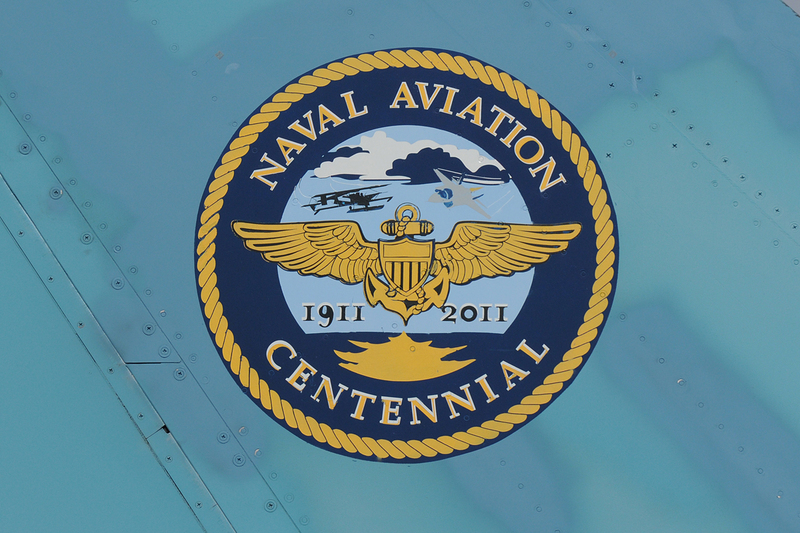 It has been active since the 1st of September, 1973 at NAS New Orleans. 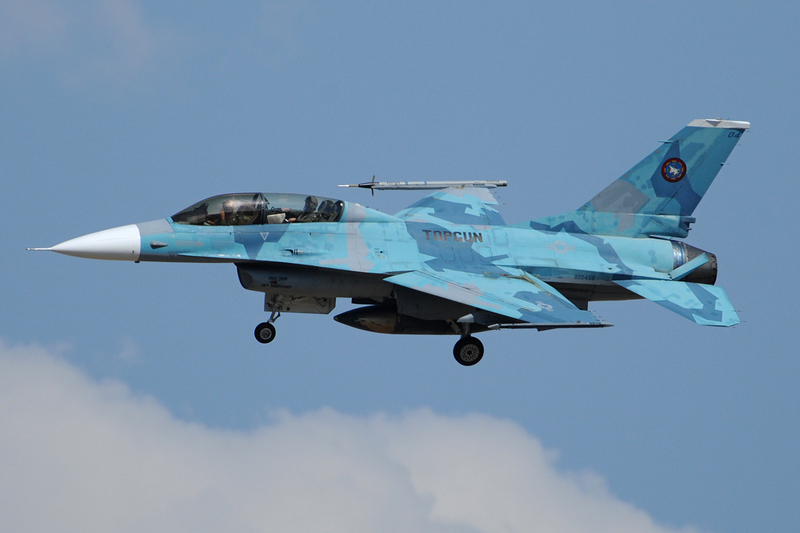 The squadron uses ‘’Bogey’’ as its main radio call sign and its insignia includes the wings worn by the highest classification of Soviet fighter pilot, the ‘Sniper’. 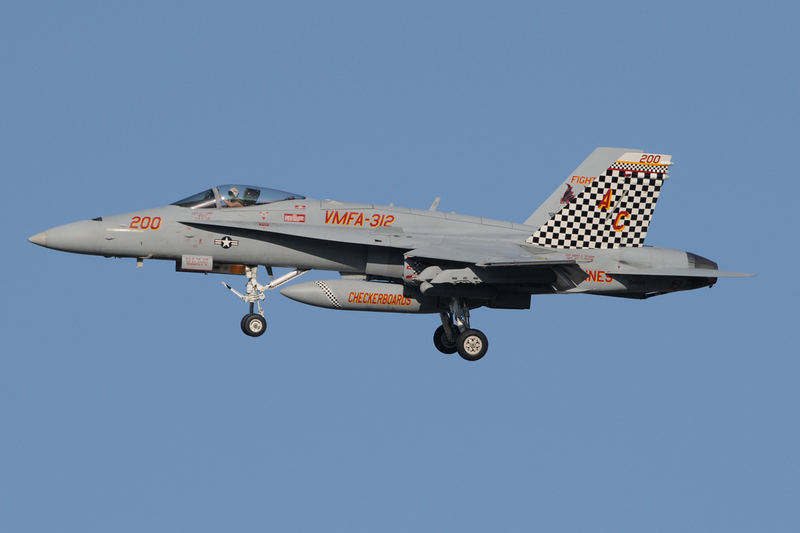 VFC-13 was established as Fleet Composite Squadron THIRTEEN (VC-13) at NAS New Orleans, Louisiana when the US Navy reorganized the US Naval Reserve and the Naval Air Reserve Force (NAVAIRESFOR). 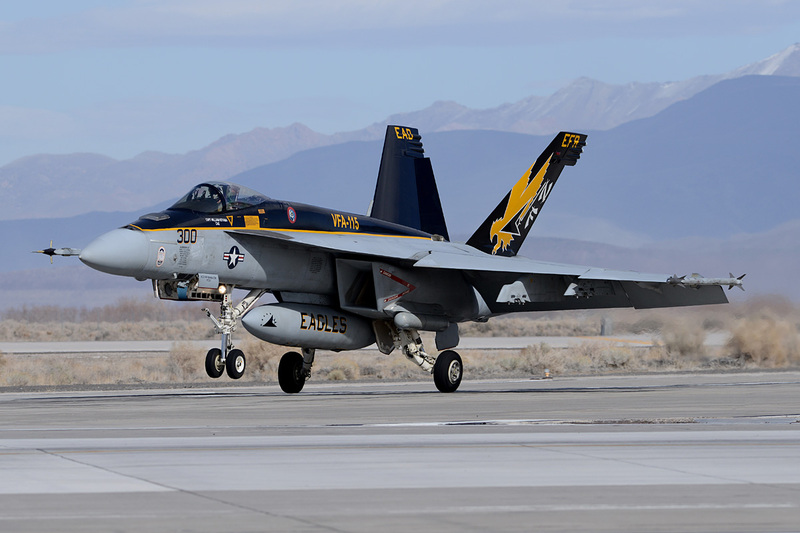 The squadron had 17 officers and 127 enlisted men within its ranks, most of them having been former members of VSF-76 and VSF-86. 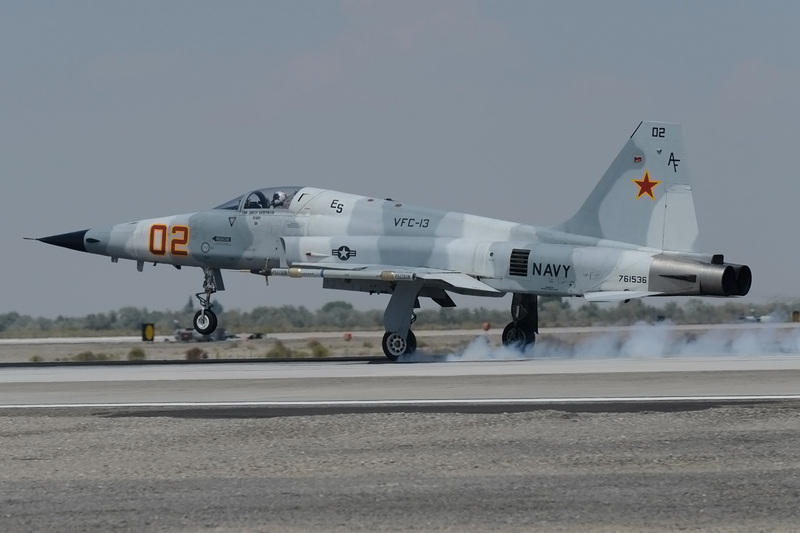 In April 1974, the transition to A-4 Skyhawks was made. 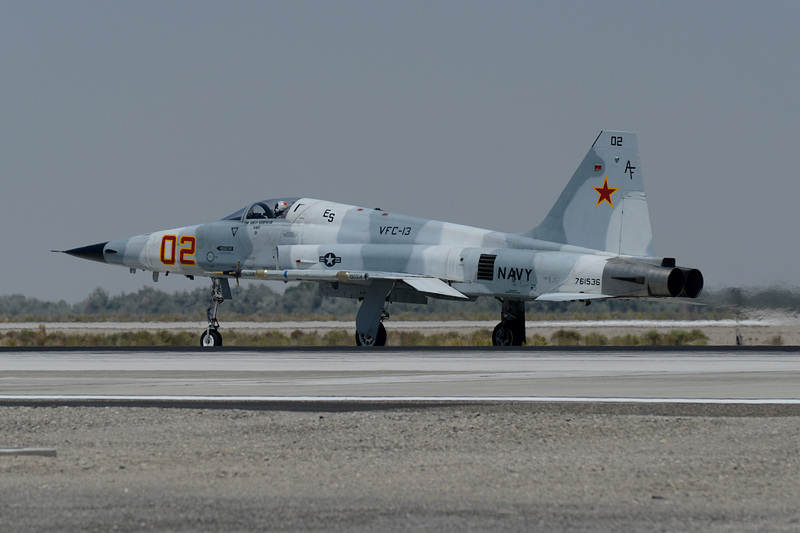 The squadron was relocated to NAS Miramar, California, in February 1976. 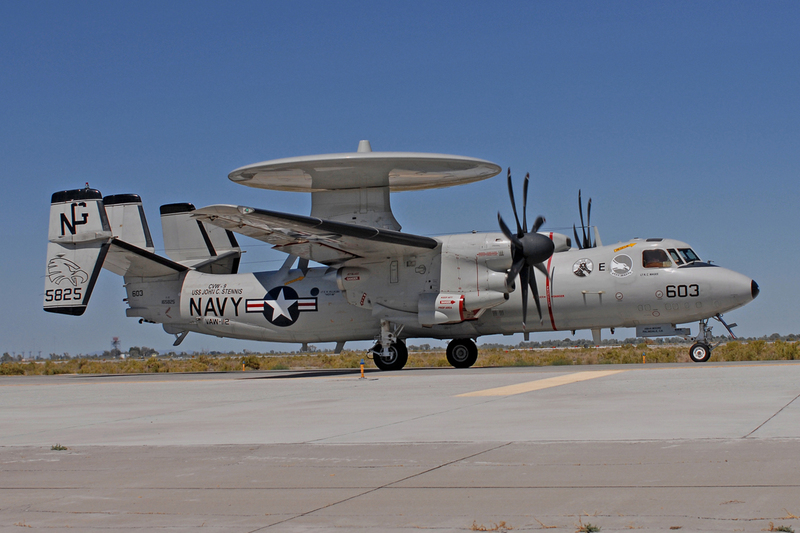 This was due to the demand for west coast adversary squadrons and other fleet support missions. VC-13 added the two-seat TA-4J to the single-seat A-4L in their aircraft complement in the summer of that same year. 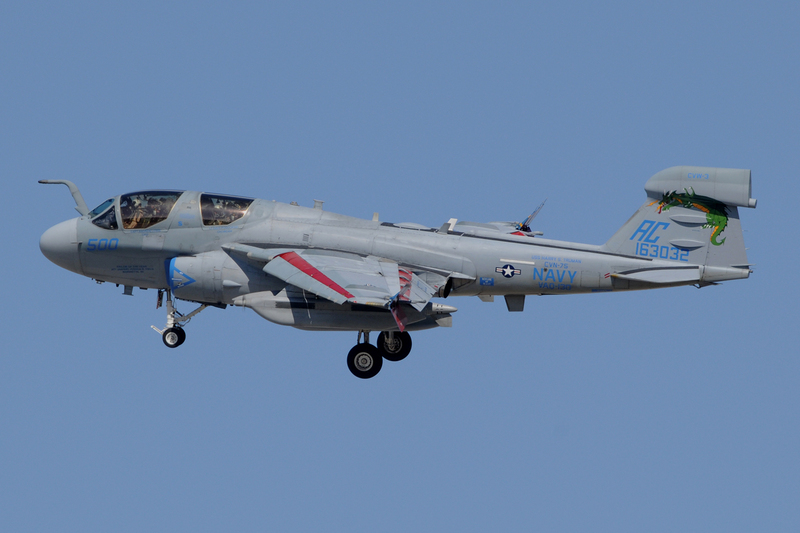 The squadron returned to single-seat aircraft with the transition to the A-4E in 1988. 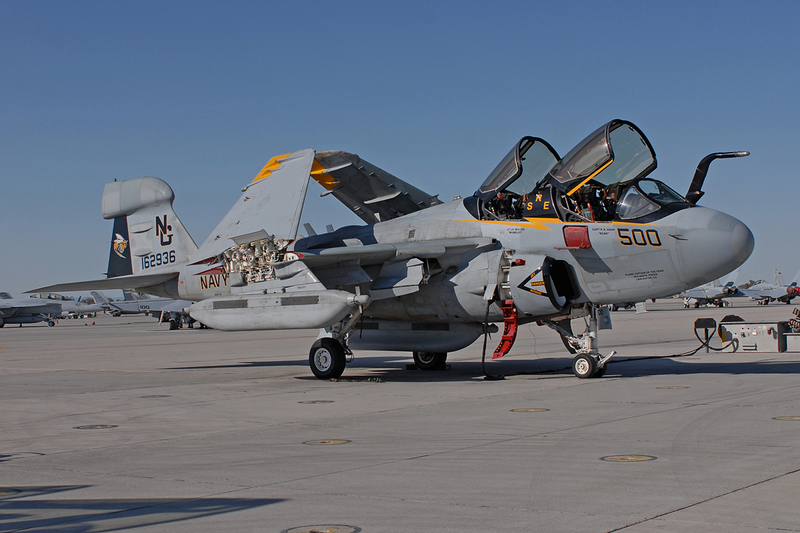 An upgrade to the more powerful A-4F was made one year later. 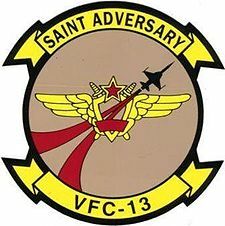 VC-13 was re-designated to Fighter Composite Squadron THIRTEEN (VFC-13) on the 22nd of April, 1988. 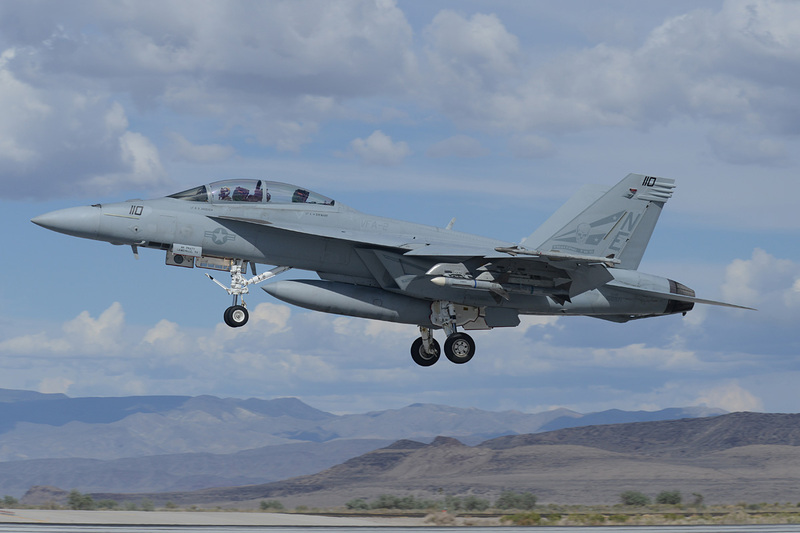 They briefly transitioned to the F/A-18 Hornet in 1992 and 1993, enabling the squadron’s ability to perform its adversary mission by providing an even more capable and realistic threat aircraft. 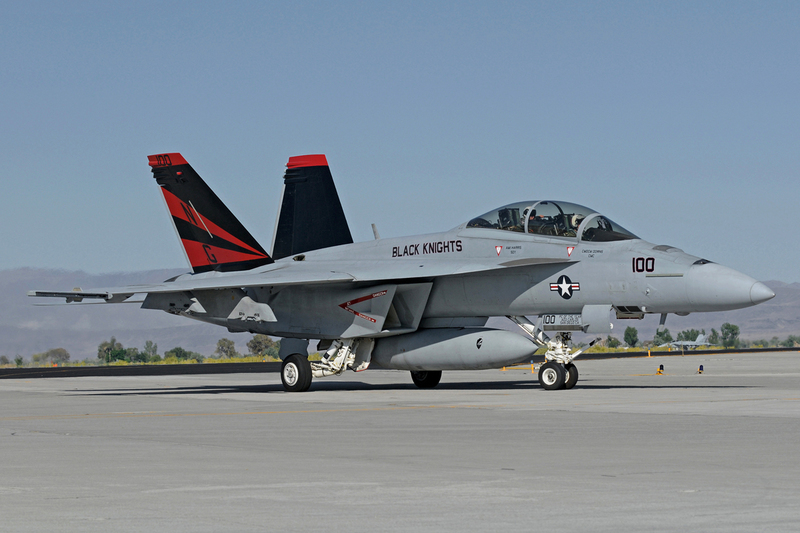 NAS Miramar was transferred back to the US Marine Corps and re-designated MCAS Miramar due to action of Base Realignment and Closure (BRAC). 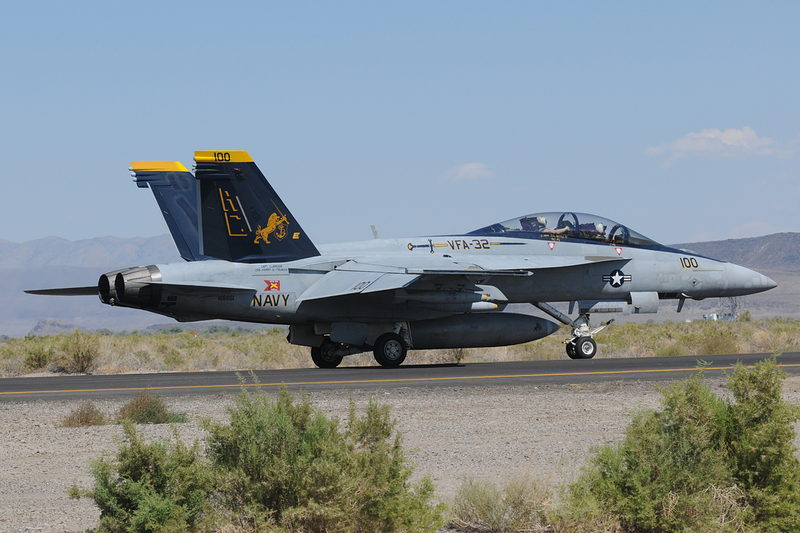 This led to the relocation of the Naval Fighter Weapon School (TOPGUN) to NAS Fallon as part of the NAWDC. 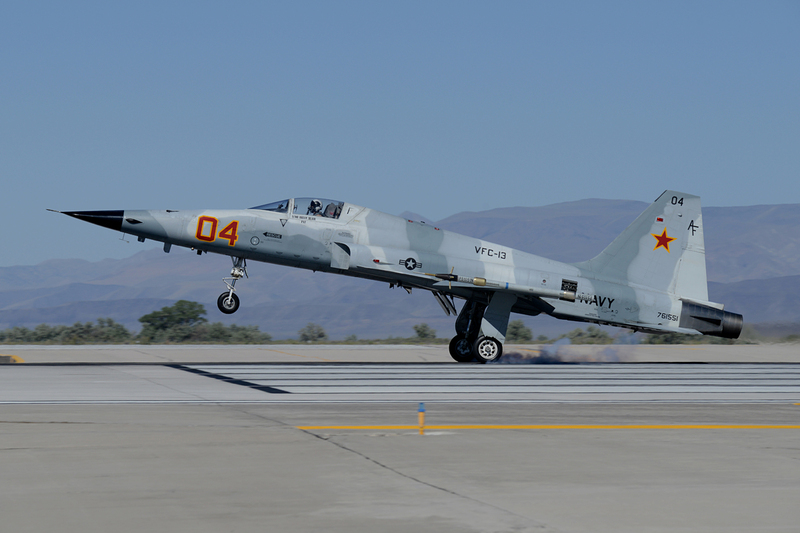 VFC-13 made the transition to F-5E Tiger IIs and transferred to NAS Fallon in April of 1996. 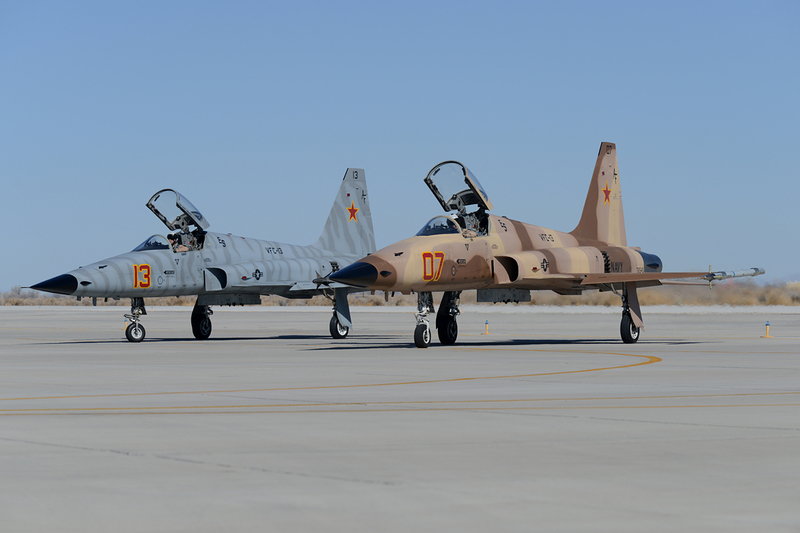 The unit is a mix of 23 F-5E/F/Ns. 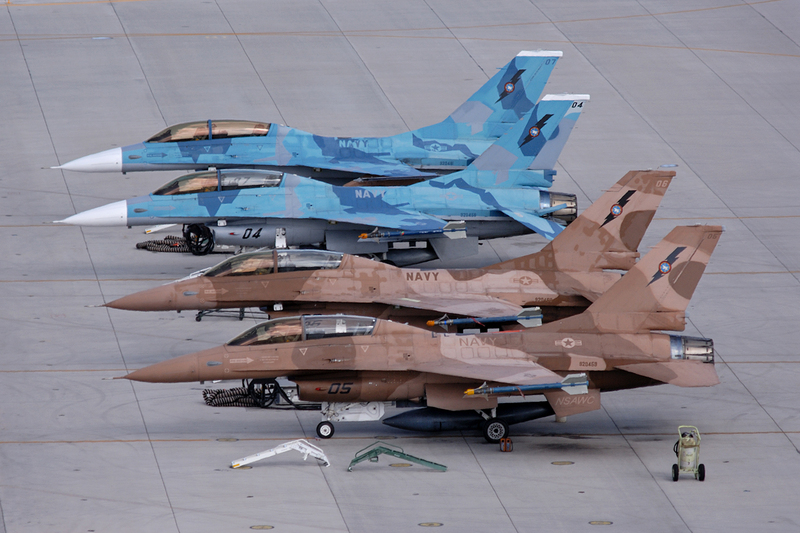 They are all painted in a variety of colorful adversary schemes such as blue, gray or brown camouflage. 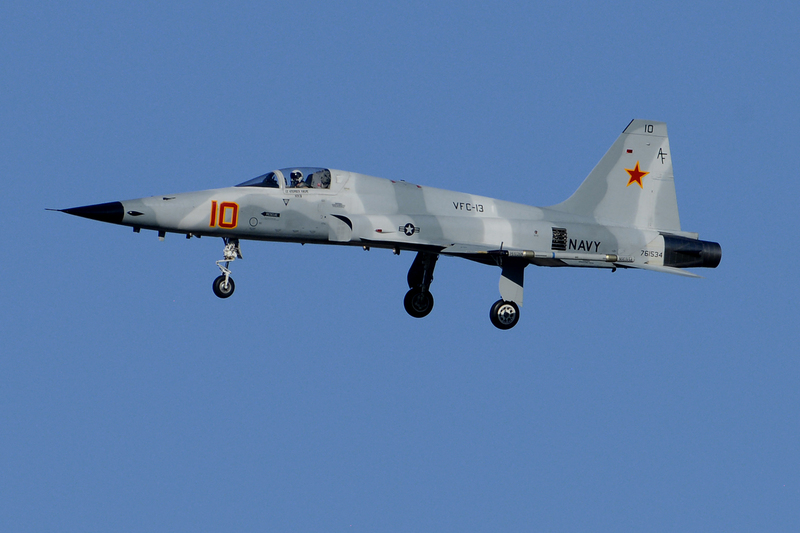 VFC-13 established a permanent detachment of 12 aircraft at NAS Key West for East Coast training in January of 2006. This eventually led to the re-designation of the VFC-13 Key West detachment in the fall of that same year. 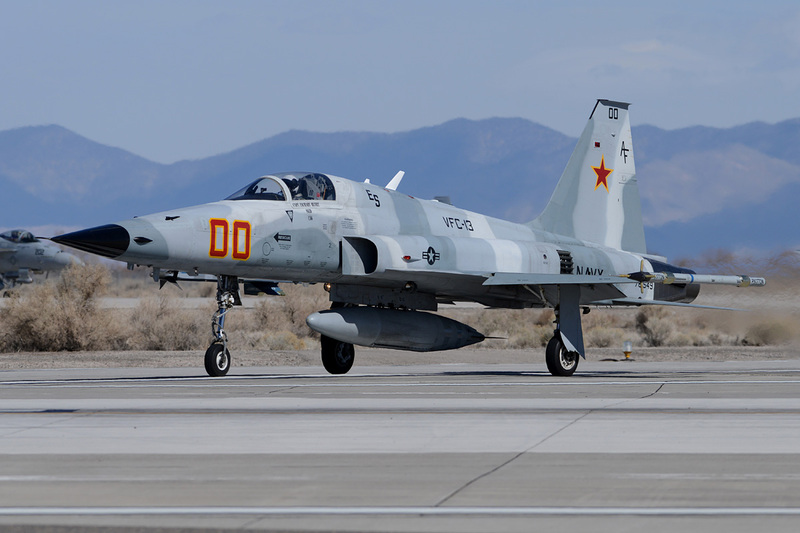 The squadron was now known as VFC-111 and had an assignment of 1 F5F and 10 F-5Ns. 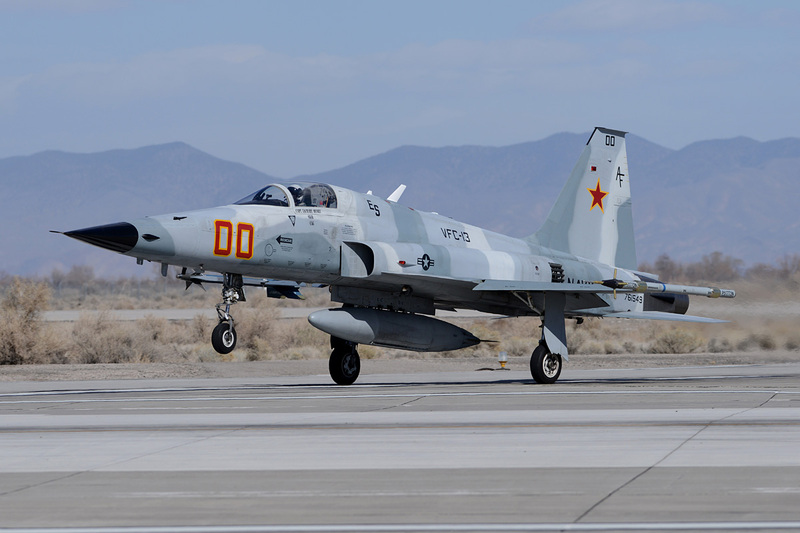 In parallel, the eleven aircraft strength of VFC-13 at NAS Fallon was increased to 17 F-5s. 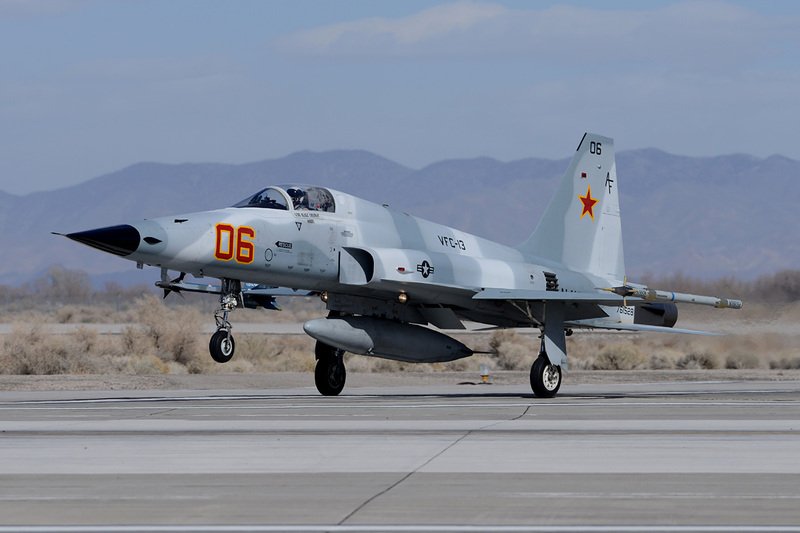 Adversary training by VFC-13 is provided for Navy and Marine Corps Active and Reserve fleet and replacement squadrons, carrier air wings and marine aircraft groups. 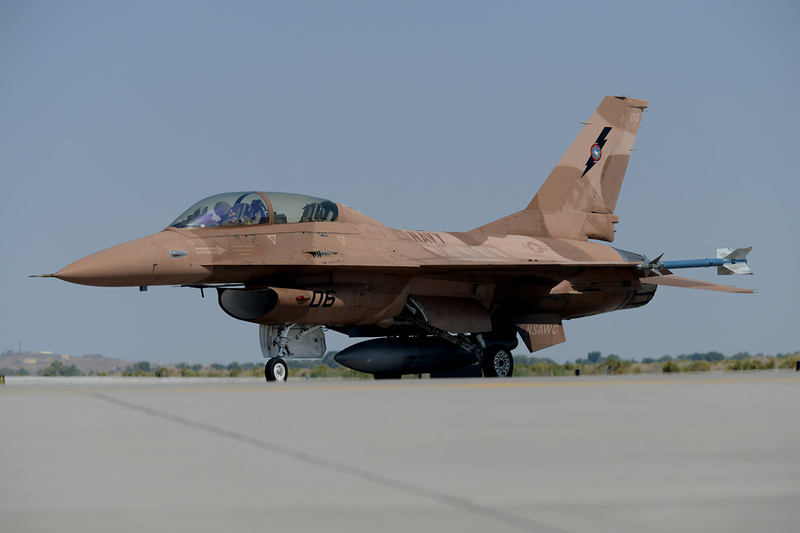 This also counts for USAF units, including Air Force Reserve and Air National Guard, and Canadian Forces. Over the years, the Fighting Saints have received two consecutive CNO Safety Awards. These were the Golden Wrench Maintenance Award, and in 1994, the Battle ‘E’ award. The Saints are manned with 69 Navy personnel among which 33 enlisted and 36 officers. The 33 enlisted personnel provide critical operations and administrative, safety and training support to the squadron. Civilians working for the Sikorsky Corporation provide the maintenance support for the F-5E. The 40-member officer wardroom counts 25 Selected Reserve (SELRES), 5 Regular Navy and 10 Full Time Support (FTS) officers. 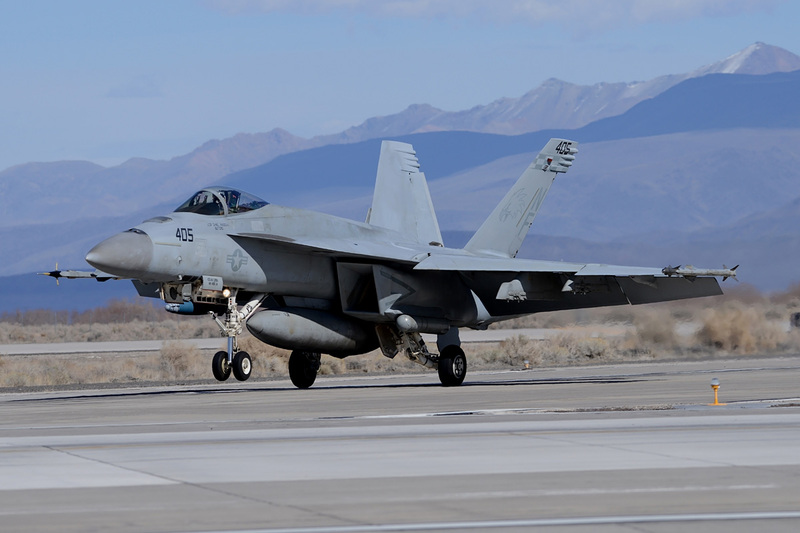 These three elements of the Saints combine to fly over 5,000 adversary sorties per year in support of US Navy Fighter squadrons and their air wings, as well as USAF, USMC and Canadian Forces. 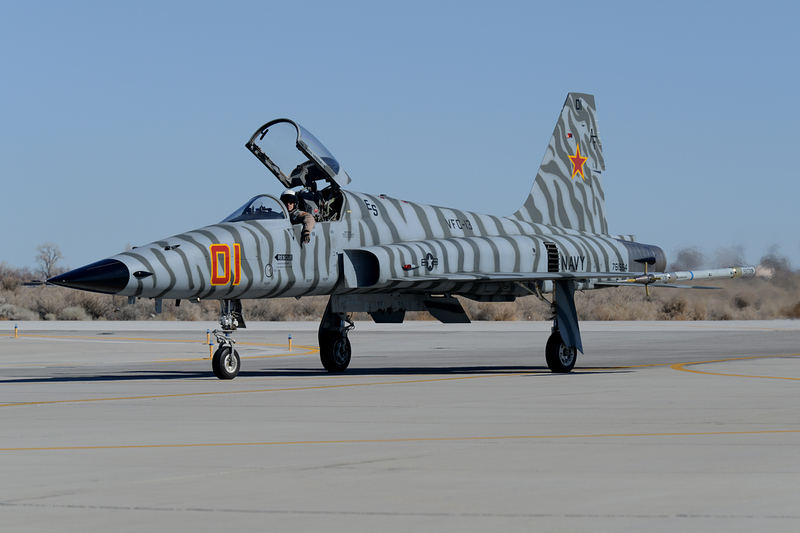 The first contract for the production of the F-5A was issued in 1962, with the first overseas order coming from the Royal Norwegian Air Force in February of 1964. 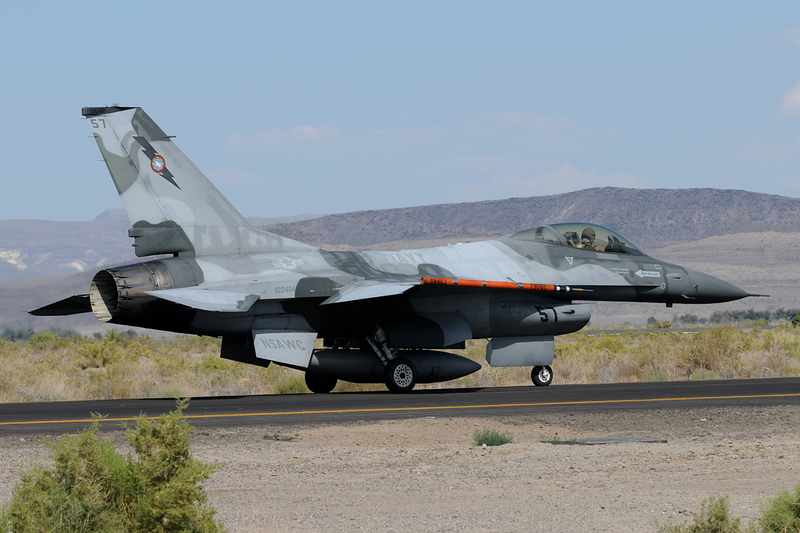 The F5-A entered service with the 4441st Combat Crew Training School of the USAF. 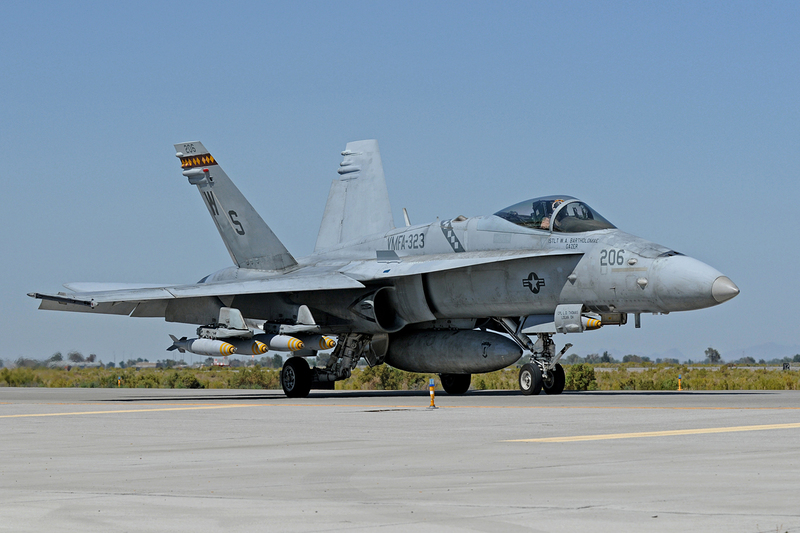 This squadron had the task of training pilots and ground crew for customer nations. 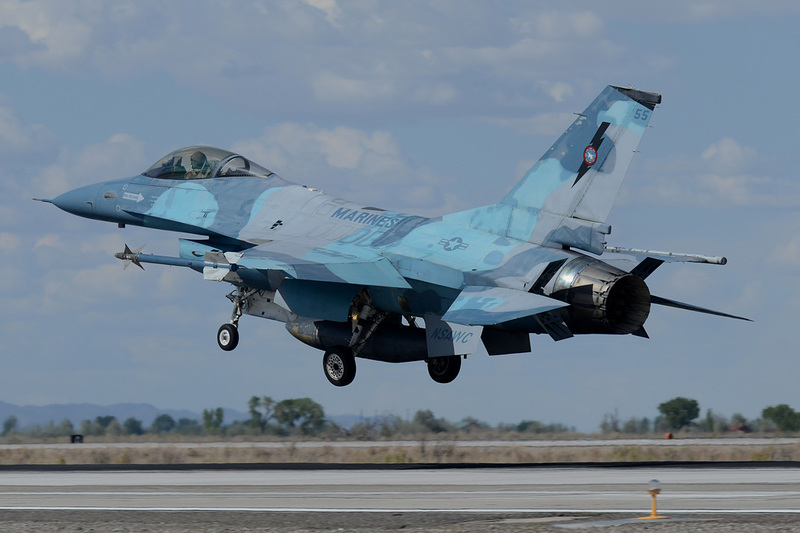 At this moment there was still no intention for the aircraft to be used in significant numbers by the USAF itself. All this changed with testing and limited deployment in 1965. 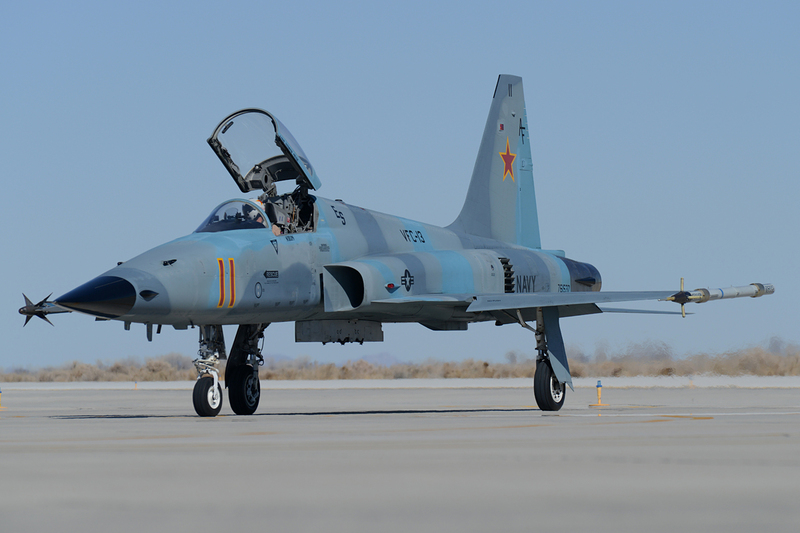 Under project Sparrow Hawk, preliminary combat evaluation of the F-5A began at the Air Proving Ground Center at Englin AFB, Florida. 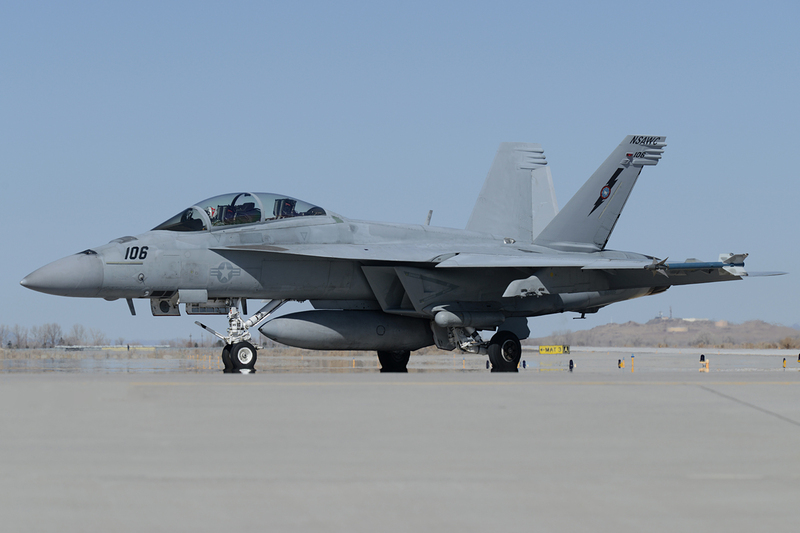 During this project, one aircraft was lost due to pilot error on June 24. 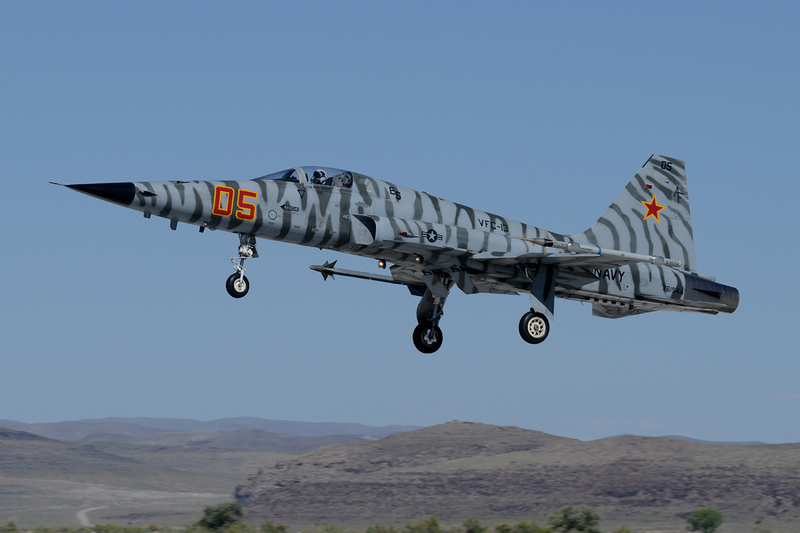 A five-month combat evaluation of the F-5A (titled ‘Skoshi Tiger’) was initiated by the USAF. 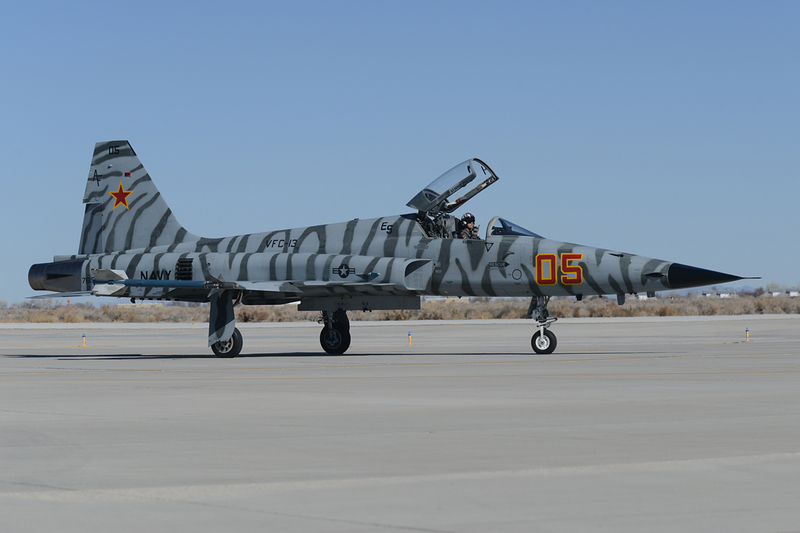 Twelve aircraft were delivered for trials to the 4503rd Tactical Fighter Squadron. 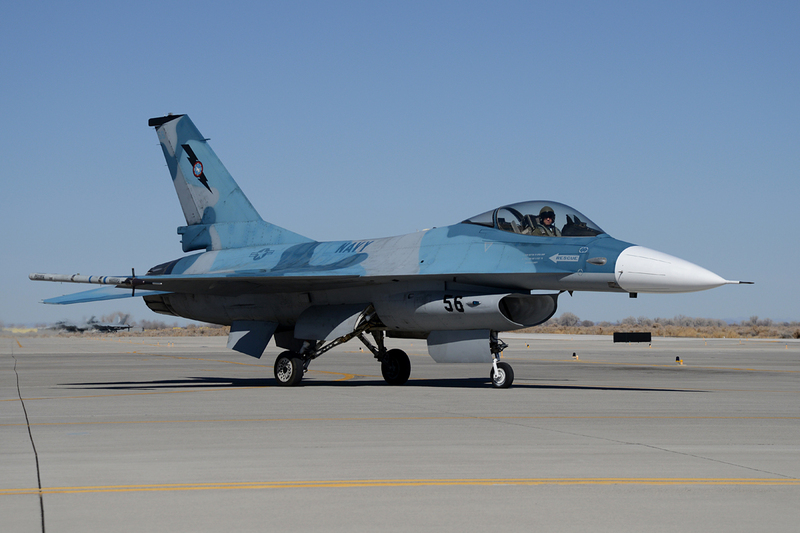 The aircraft were modified with probe and drogue aerial refueling equipment, armor, and improved instruments. 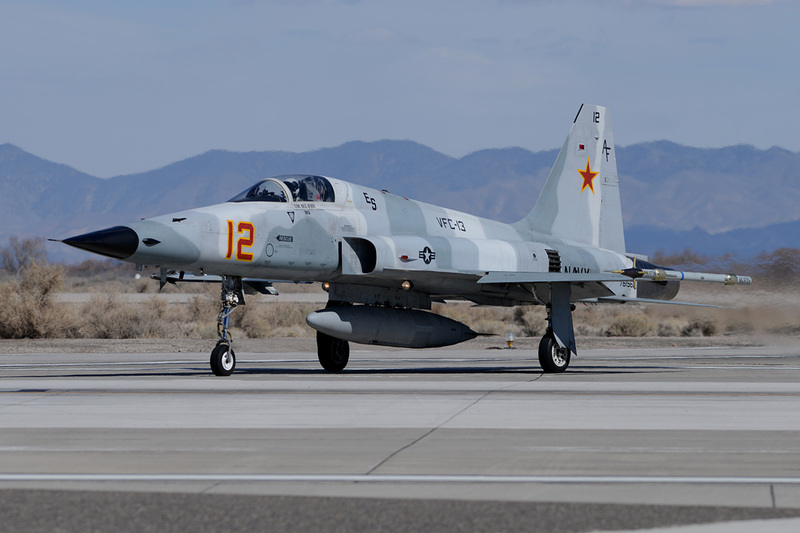 This led to re-designation to F-5C. 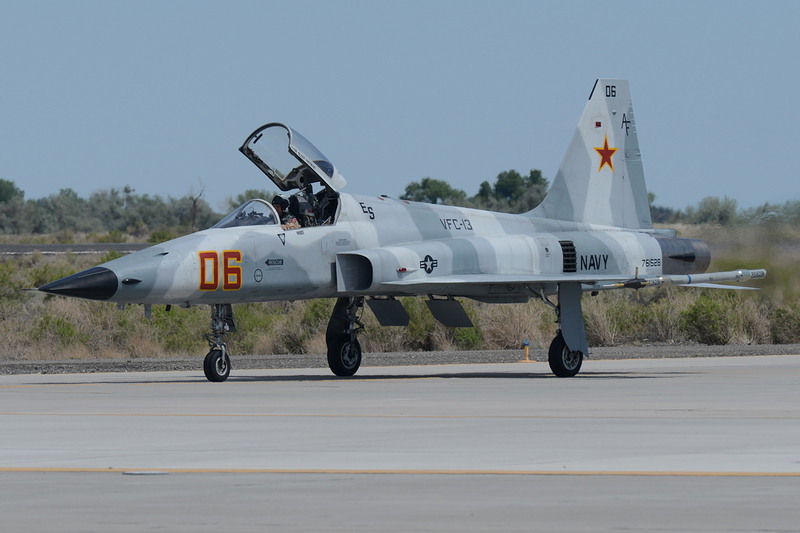 Over the next six months, these aircraft would perform combat duty in Vietnam flying more than 2,600 sorties. The sorties, from the 3rd Tactical Fighter Wing, were executed at Bien Hoa over South Vietnam, and from Da Nang Air Base where operations were flown over Laos. One aircraft was lost in combat. 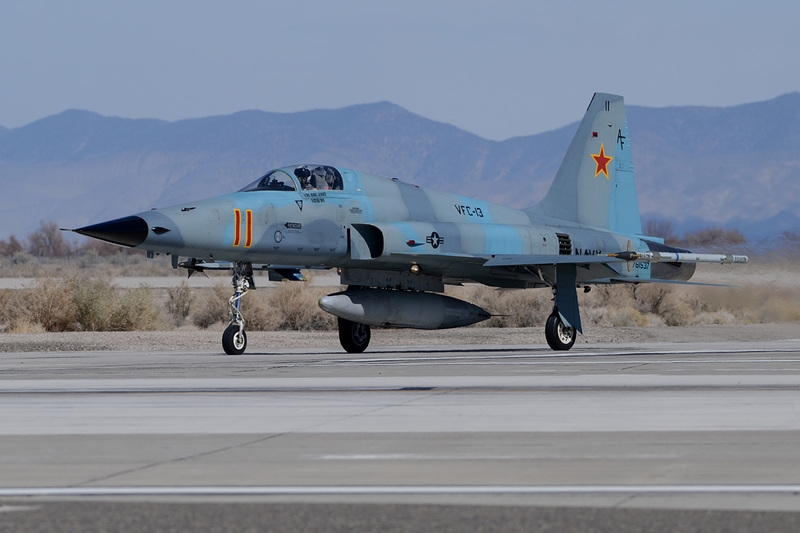 The aircraft was declared a success, with it being rated as a capable ground-attack aircraft like the F-100, although it suffered a shorter range. 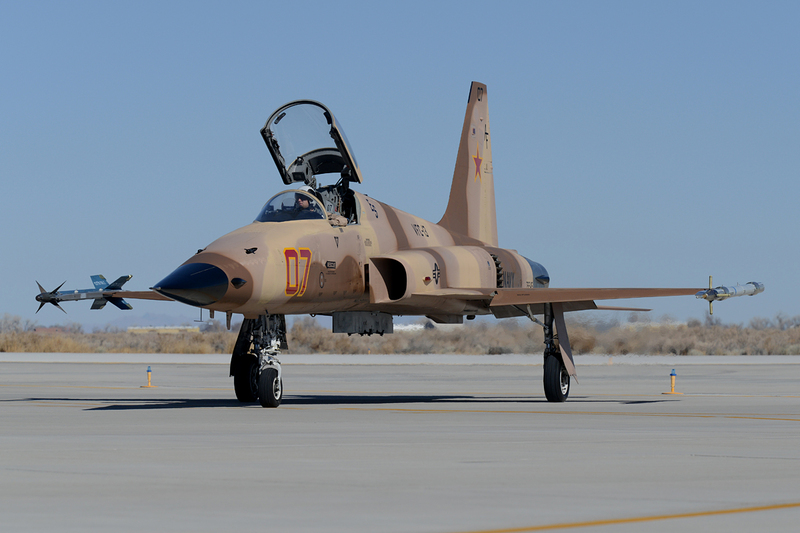 The program was considered a political gesture intended to aid the export of more F-5s rather than a serious consideration of the type for U.S. service. 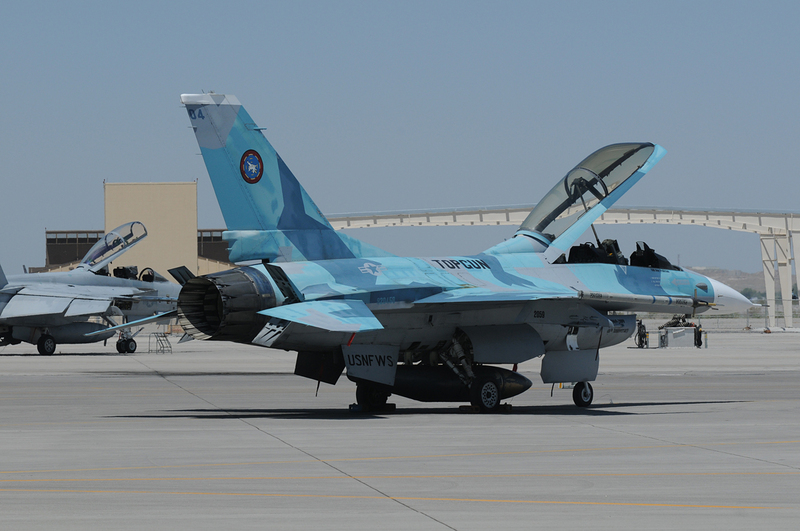 The aircraft continued operations as 10th Fighter Commando Squadron from April 1966 with five extra aircraft. 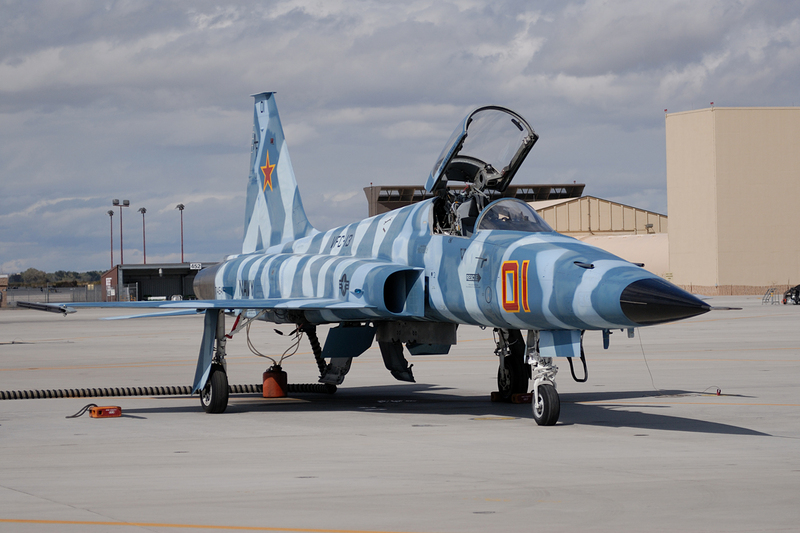 The Philippine Air Force acquired 23 F-5A/B models in 1965, following ‘Skoshi Tiger’. 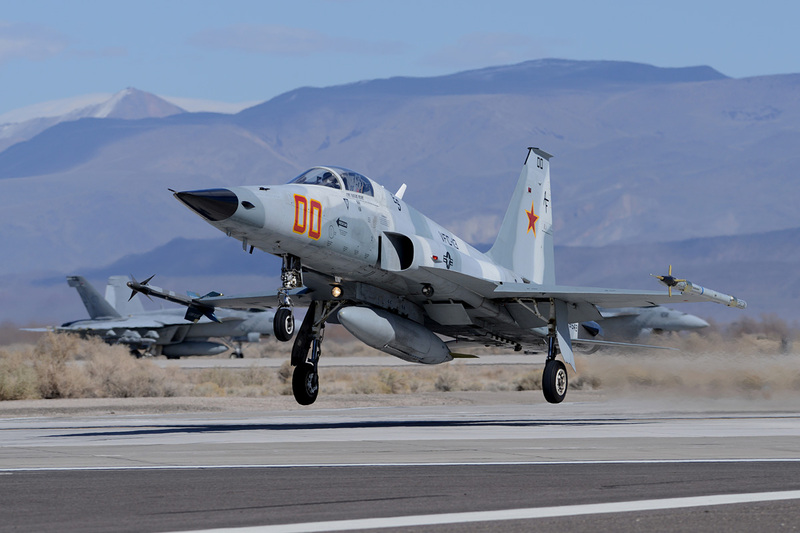 These aircraft, together with the remanufactured Vought F-8 Crusaders, eventually replaced the Philippine Air Force’s F-86 Sabre in the air defense and ground attack roles. The 10th FCS’s surviving aircraft were turned over to the air force of South Vietnam in June of 1967. 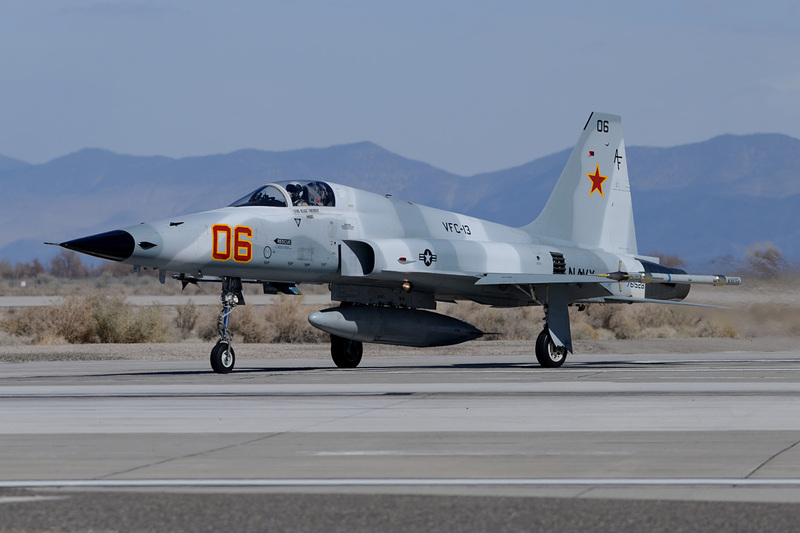 The Vietnam Air Force (VNAF) had only previously flown with Cessna A-37 Dragonfly and Douglas A-1 Skyraider attack aircraft. The new VNAF squadron was titled the 522nd. 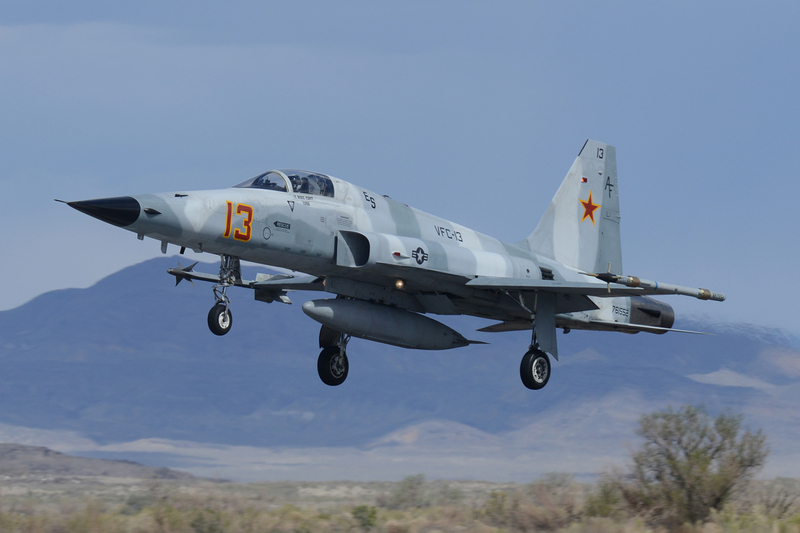 The president of Vietnam had originally asked for F-4 Phantoms used by the Americans, but the VNAF primarily flew ground support missions as the communist forces employed no opposing aircraft over South Vietnam (such as MiGs or otherwise). When Bien Hoa was later overrun by Communist forces, several of the aircraft were captured and used operationally by the NVAF. 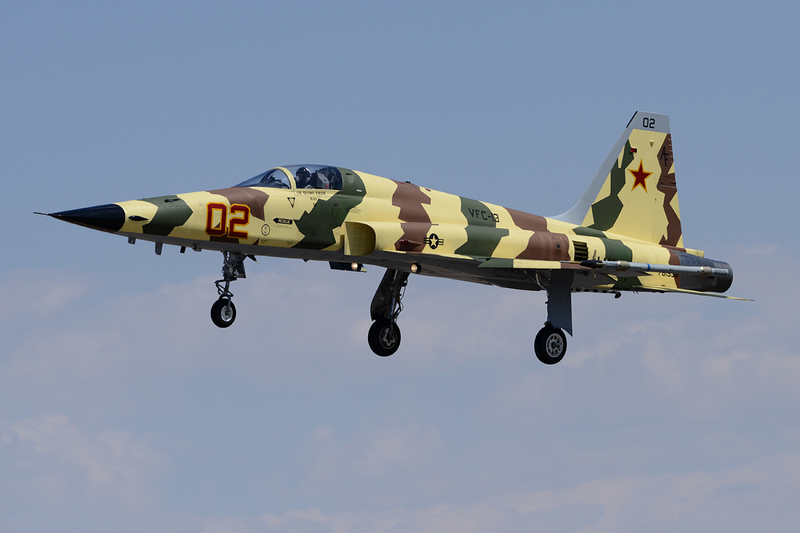 In view of performance, agility and size, the F-5 might have appeared to be a good match against the similar MiG-21 in air combat. 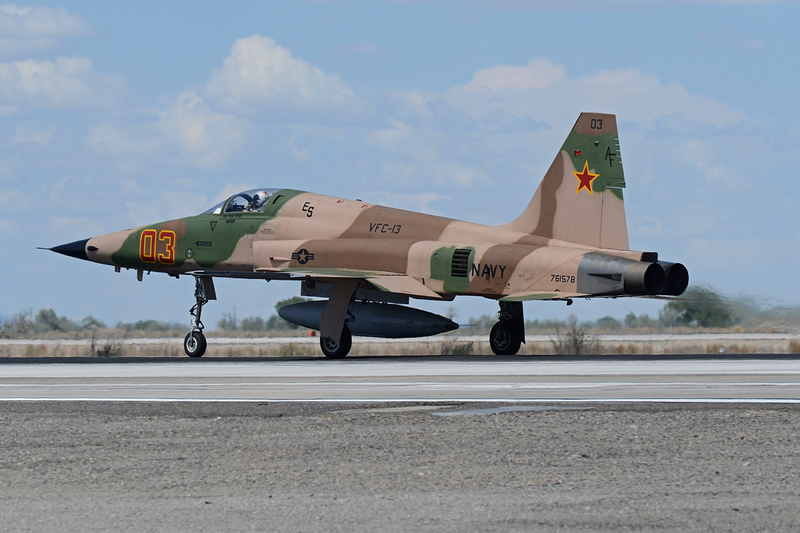 However, U.S. doctrine was to use heavy, faster and longer-range aircraft like the F-105 Thunderchief and McDonnel Douglas F-4 Phantom II over North Vietnam. 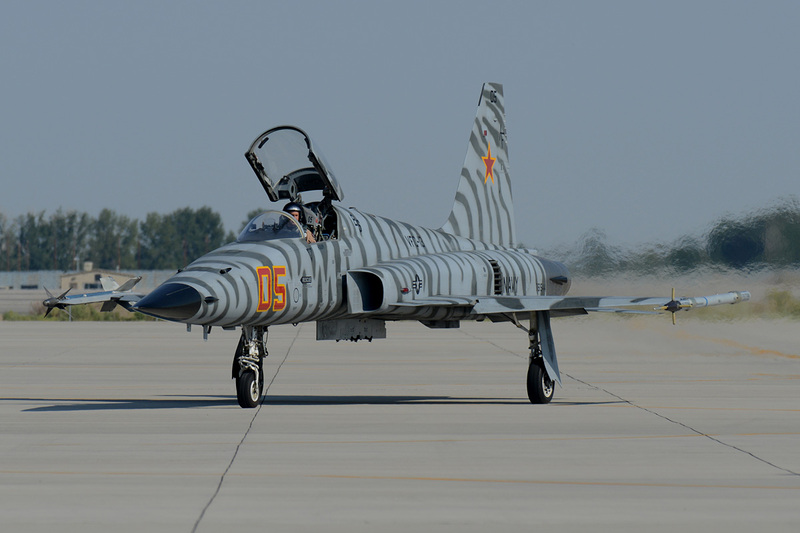 After the war, several of the F-5s left over were sent to Poland and Russia. 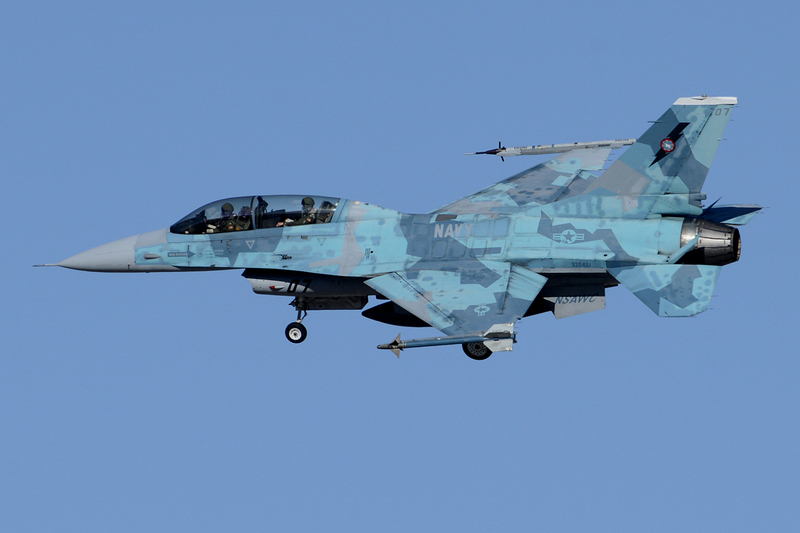 This was done for advanced study of U.S. aviation technology. Others were decommissioned and put on display at museums in Vietnam. 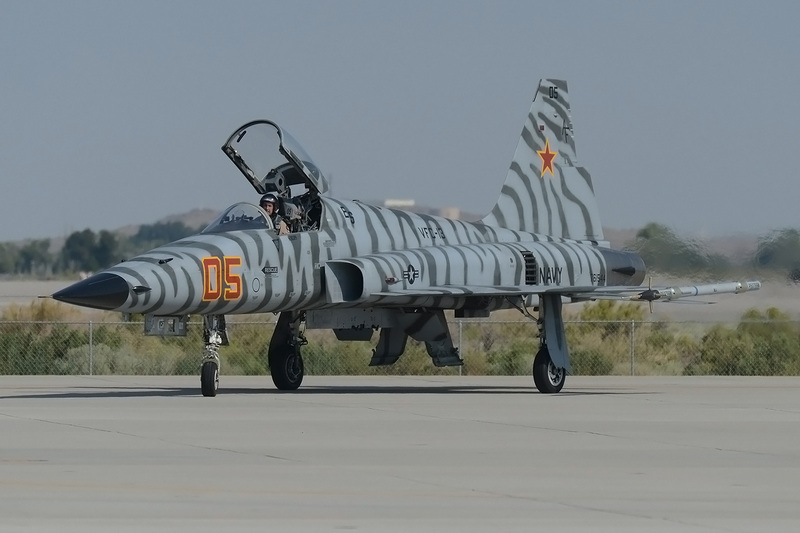 Although not used in a front line role by the United States, the F-5 was adopted for an opposing forces (OPFOR) “aggressor” dissimilar training role. 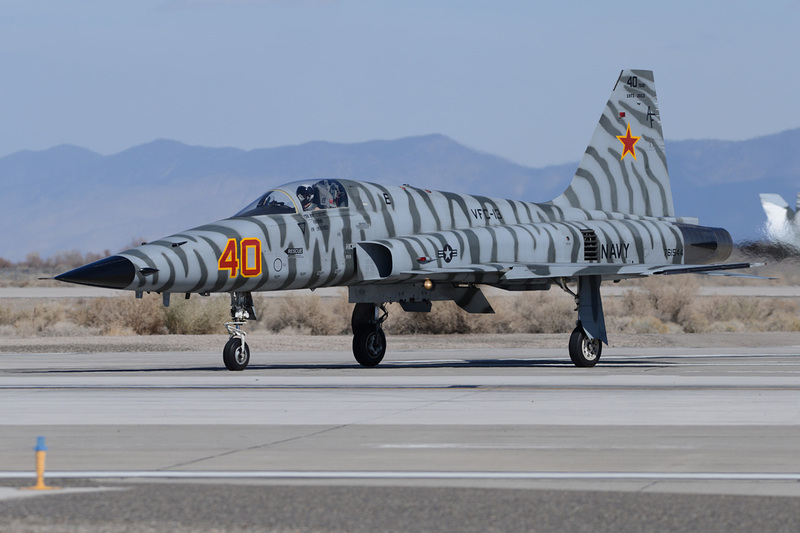 Reason for this was its small size and performance similarities to the Soviet MiG-21. 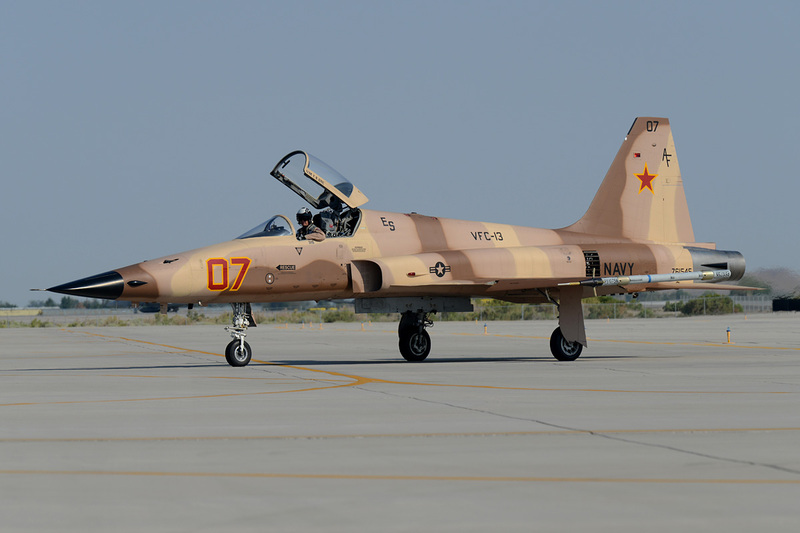 The F-5E saw 15 years of service with the U.S. Air Force from 1975 until 1990. 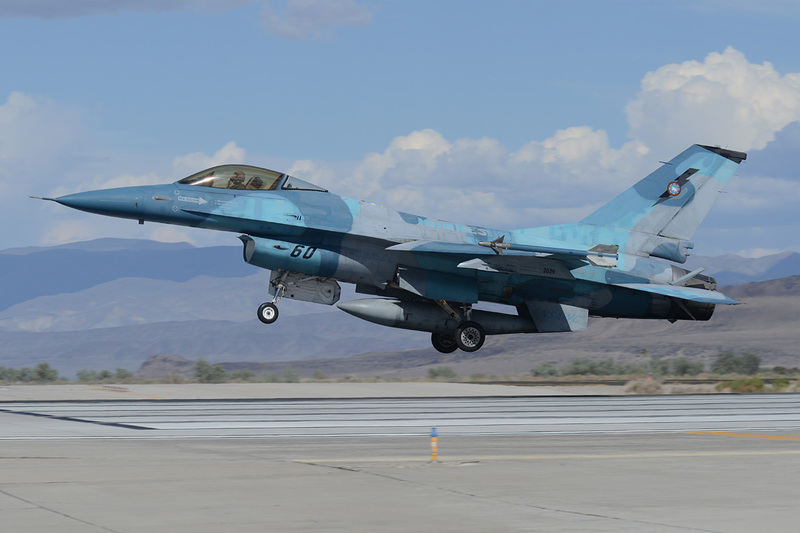 It served the 64th and 65th Aggressor Squadron at Nellis AFB, the 527th Aggressor Squadron at RAF Alconbury in the UK and the 26th Aggressor Squadron at Clark Air Force Base in the Philippines. 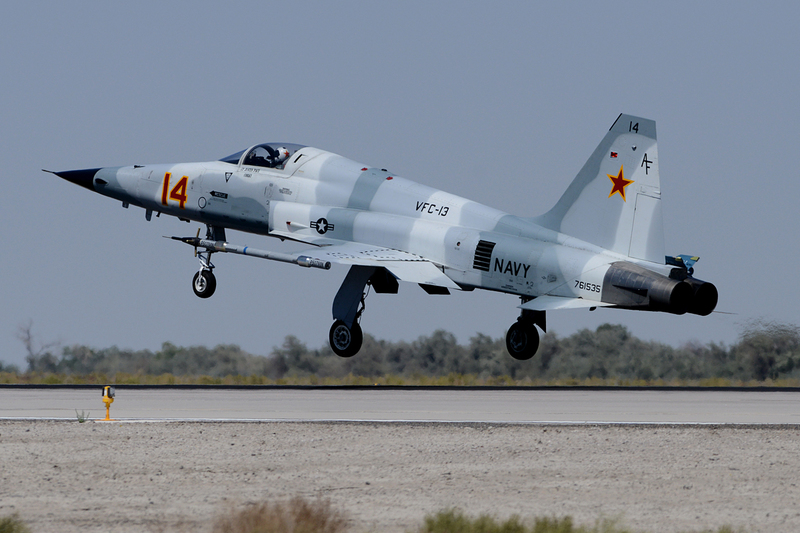 Ex-USAF models were purchased by the U.S. Marines in 1989, replacing their F21s which served with the VMFT-401 at Marine Corps Air Station Yuma. 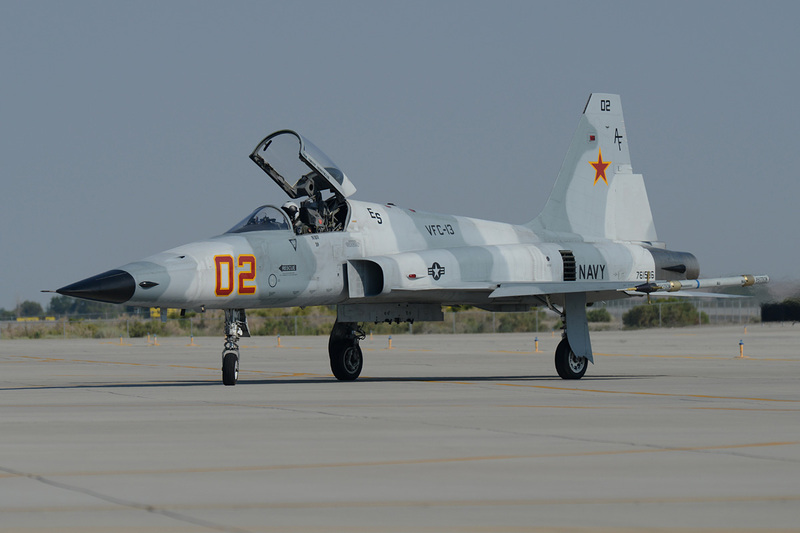 The U.S. Navy used the F-5E extensively at the Naval Fighter Weapons School (TOPGUN) when it was located at NAS Miramar. 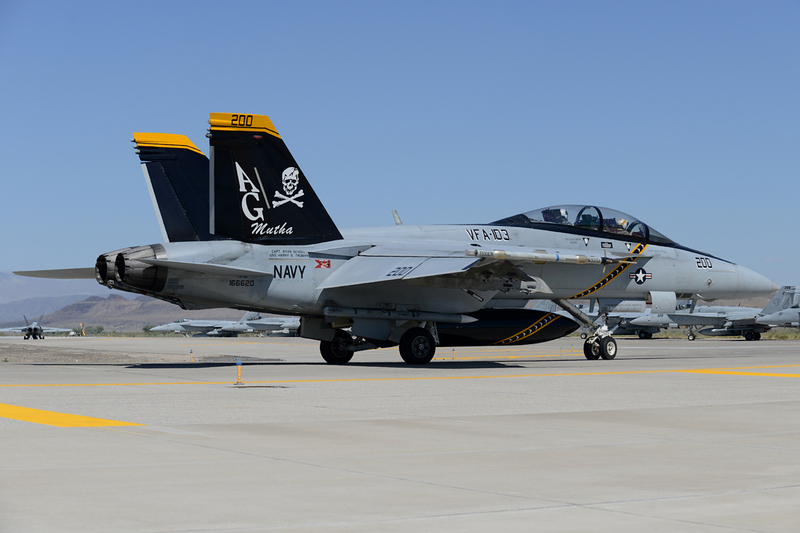 TOPGUN was later relocated to NAS Fallon and became part of the NAWDC. 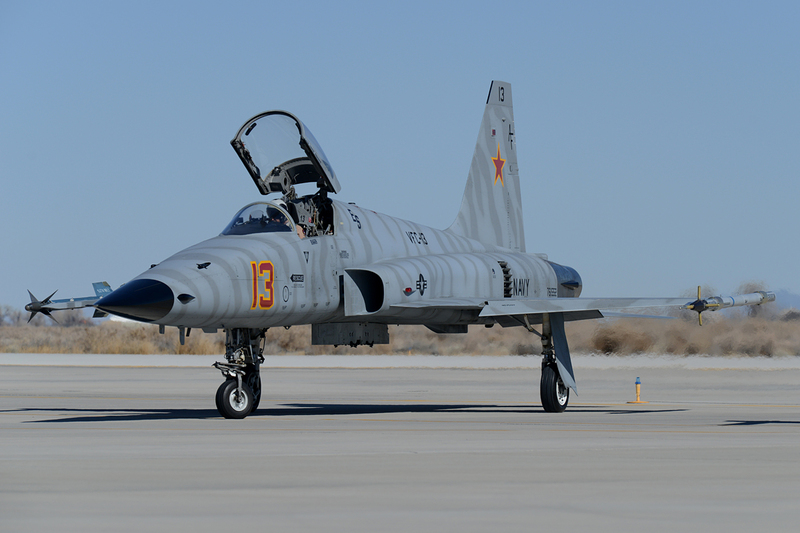 The command divested itself of the F-5, choosing to rely on VC-14 to employ their F-5s as adversary aircraft. 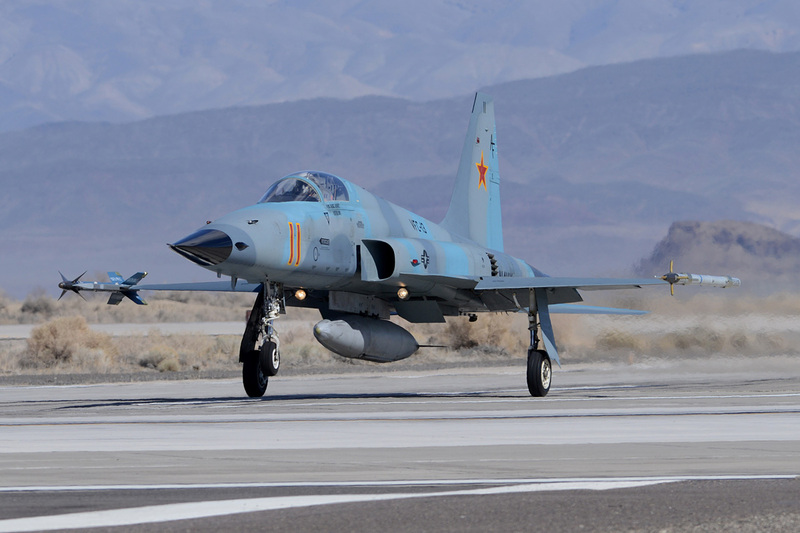 Many former adversary squadrons have also operated the F-5 along with other aircraft types in support of Dissimilar Air Combat Training (DACT). 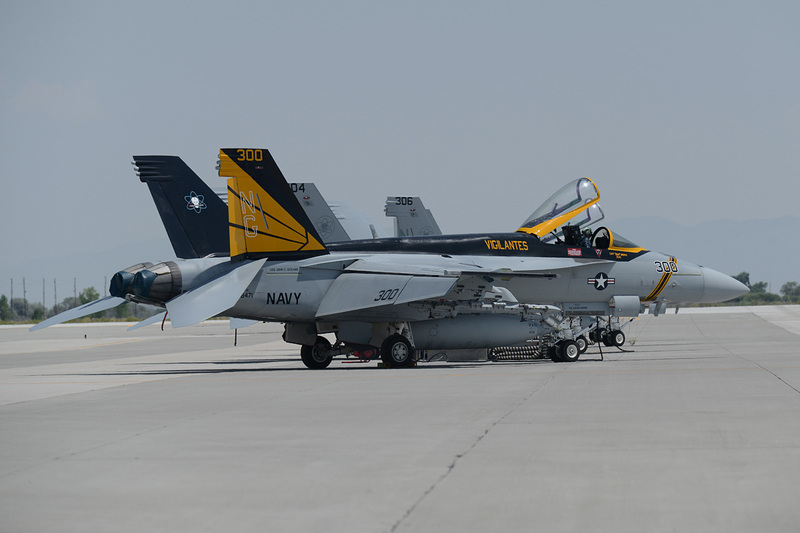 Examples of these squadrons are VF-43 at NAS Oceana, VF-45 at NAS Key West, VF-126 at NAS Miramar, and VFA-127 at NAS Lemoore. 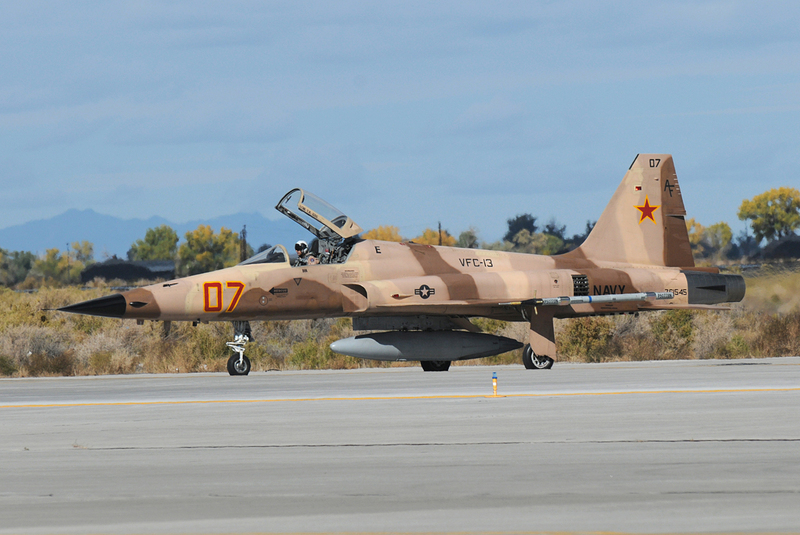 Modernization of the U.S. Navy F-5 fleet continued with the purchase of 36 low-hour F-5E/Fs from Switzerland in 2006. 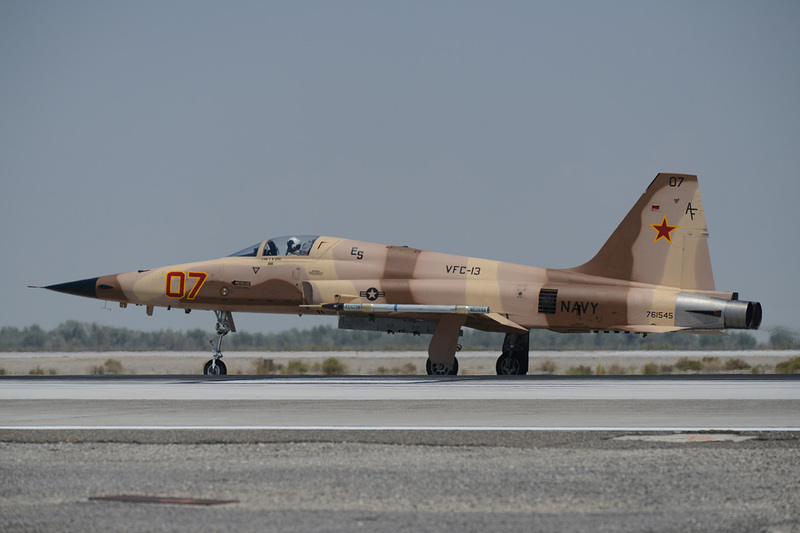 The aircraft were upgraded to F-5N/Fs with installation of modernized avionics and other improved systems. 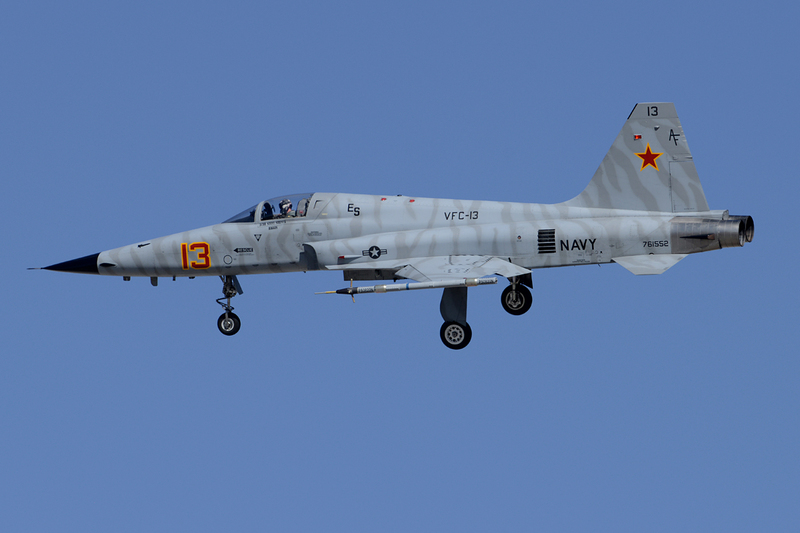 The only two U.S. Navy units flying the F-5 to date are VFC-13 at NAS Fallon and VFC-111 at NAS Key West. 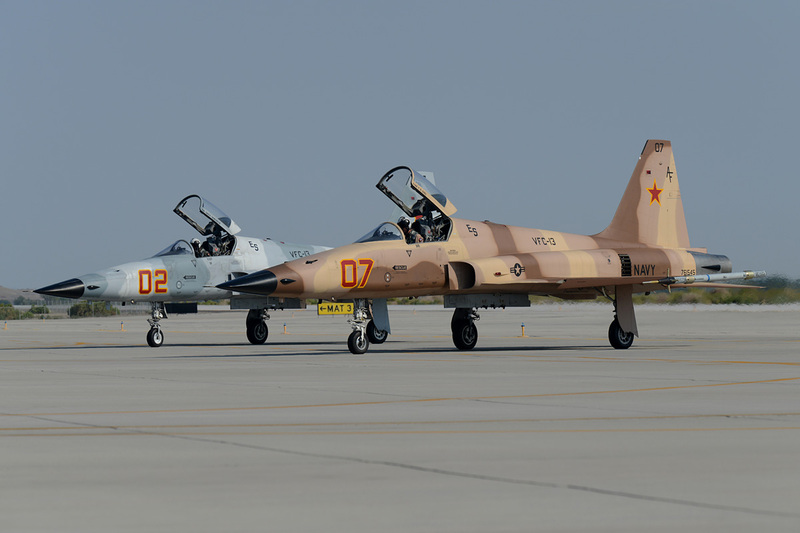 VFC-111 operates 18 F-5N/F Tiger-IIs, of which 17 are single-seater F-5Ns. 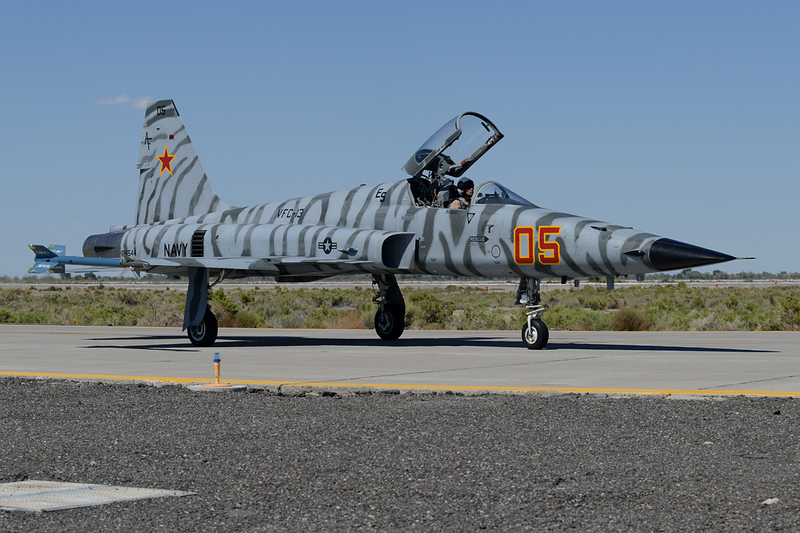 The remaining aircraft is a twin-seater F-5F, dubbed the “FrankenTiger”. 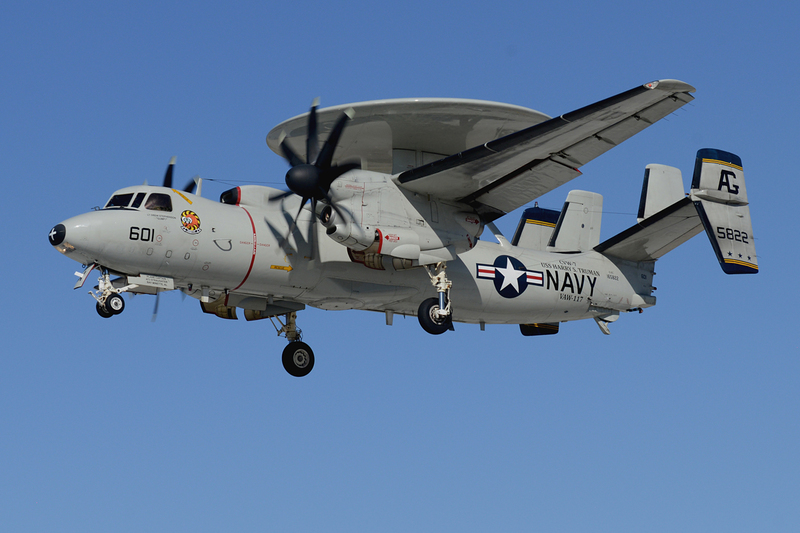 It is only one of three in service with the USN. 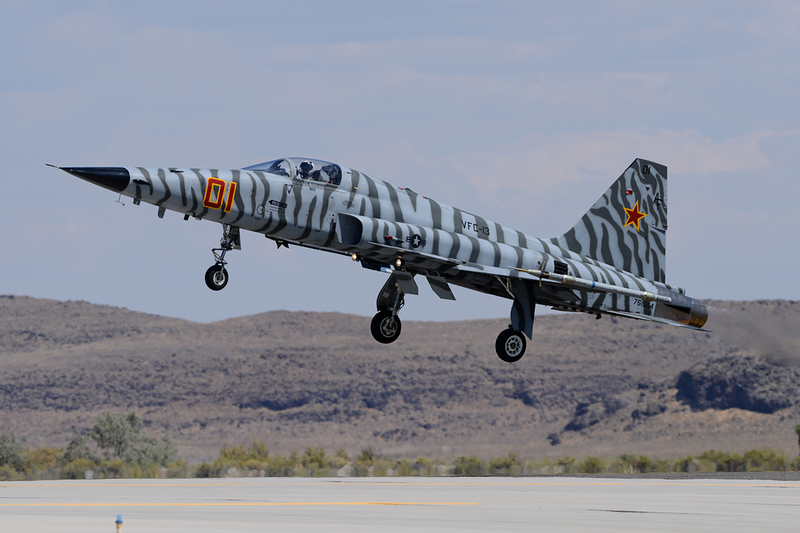 The “FrankenTiger” is a product of grafting the front half fuselage of the older F-5Fs into the back half fuselage of the newer low-hour F-5Es acquired from the Swiss Air Force. Peter van den Berg is from Coevorden, Netherlands. 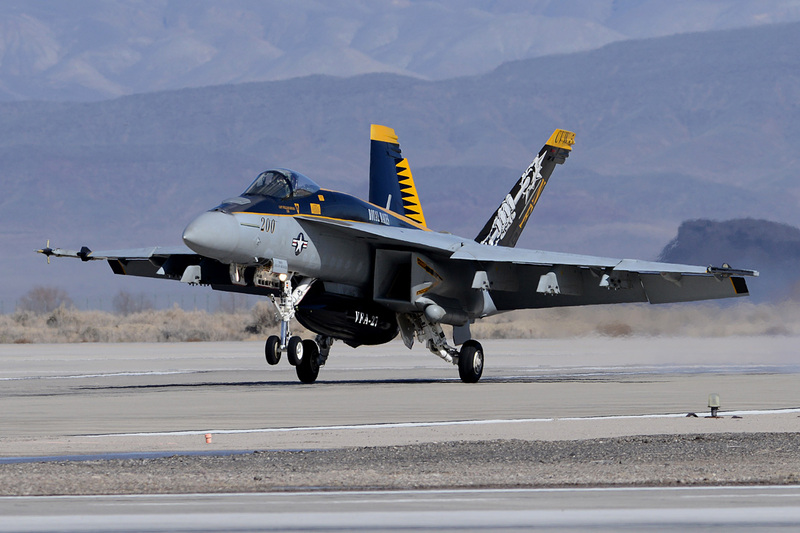 His love for military aviation began in 1980. The first airbase where he photographed was Soesterberg, Netherlands where the 32 TFS was stationed with the F-15. After photographing many military exercises in Europe over the years, Peter decided to spend the last 15 years visiting Asia and the USA. He regularly writes books for Veldhuis Media Group. 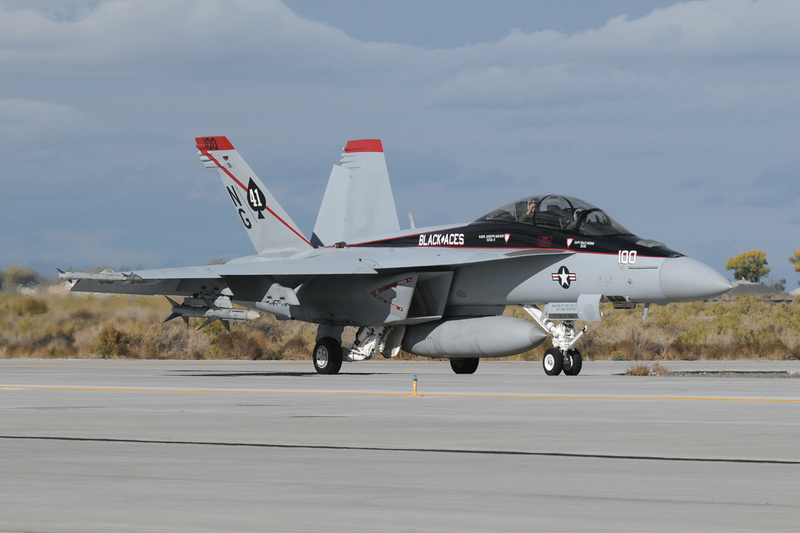 Peter has written books about NAS Fallon, Red Flag and the Japanese Airforce. In addition to publishing books, Peter is working as a teacher for senior secondary vocational education.